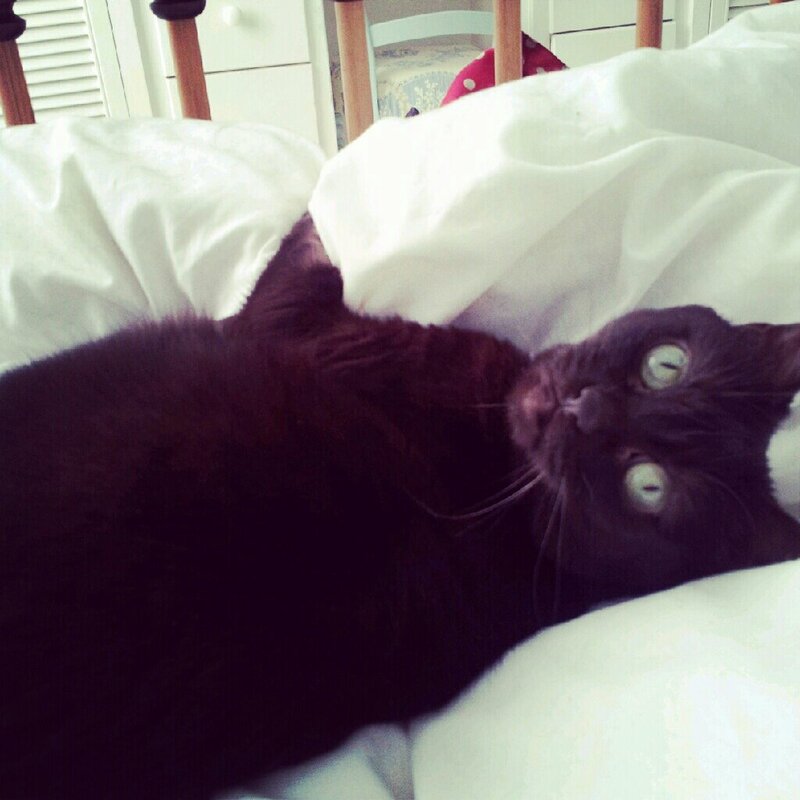 Why not try a blogging challenge..
Sunday Sevens ~ Natalie from ‘Threads and Bobbins’ posts 7 photo’s of her week every Sunday and I’m sure she would love you to join in too. Link to posts right here. Take 12 Trips ~ Here’s One I joined in with in 2014. The aim is to blog once a month about a trip ( whether it be a local day out or a weekend away or a week in the sun) for twelve months. 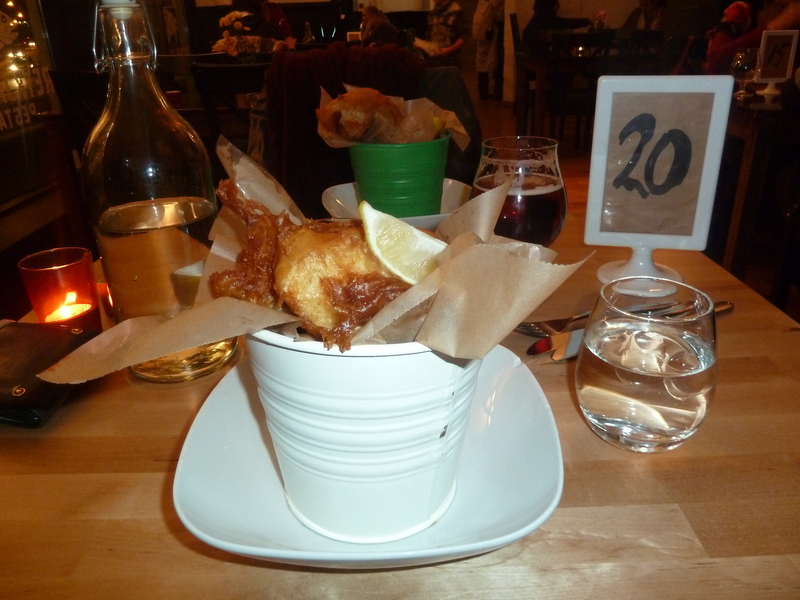 This challenge really made me get out and about and I discovered some fab new blogs too. Check out Need Another Holiday for details. 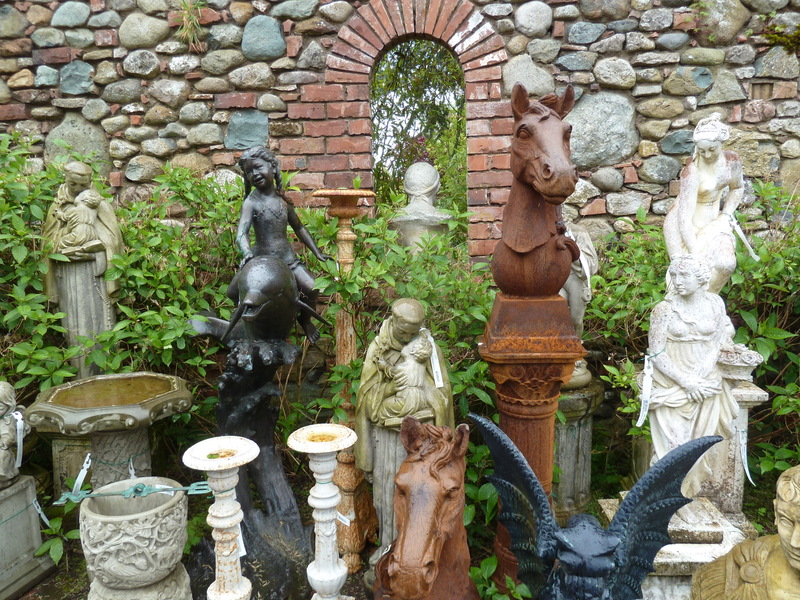 Jo’s Monday Walks ~ If you enjoy a stroll in the country or a saunter through the city, then why not link up with Restless Jo. She does an ever growing roundup of folks walks and takes you along to some interesting places. 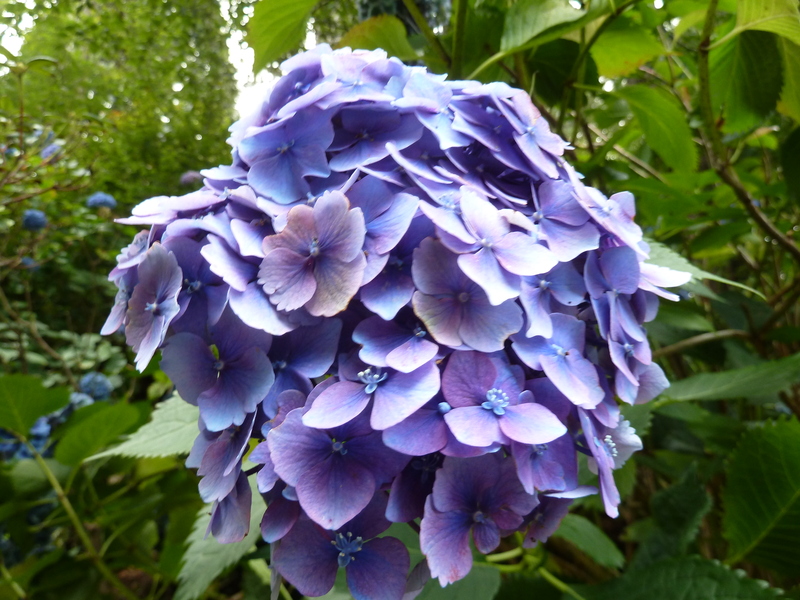 Photo an Hour ~ And here’s another photo challenge I love to take part in. 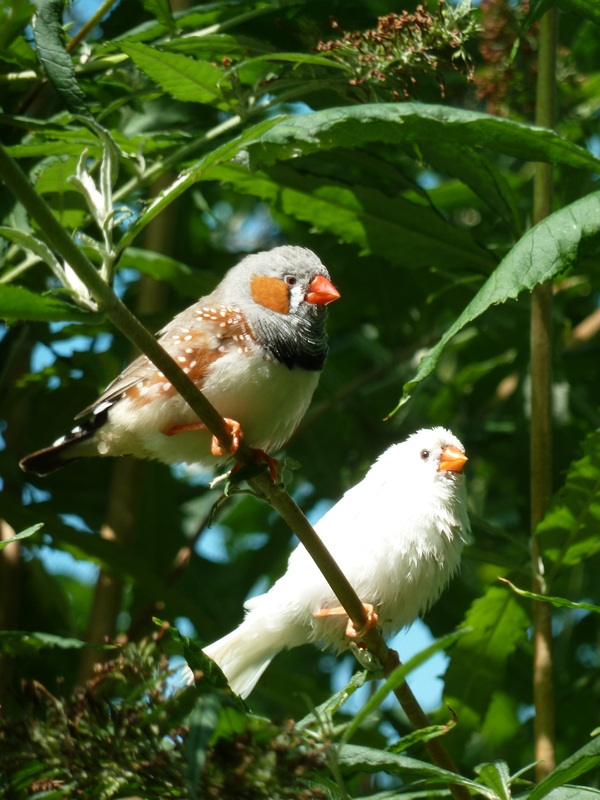 Simply take a photo every hour of how you are spending your day. You can join in on Instagram, Twitter or your blog. Or all three! Janey from Is That You Darling will be setting February’s date. Foodie Penpals ~ Ooooooh I love this one! If you would like to send and receive a parcel of foodie goodies every month ( and make some new pals) then check out Foodie Penpals . You get to sample goodies from other parts of the UK or abroad. Who doesn’t love parcels of treats! 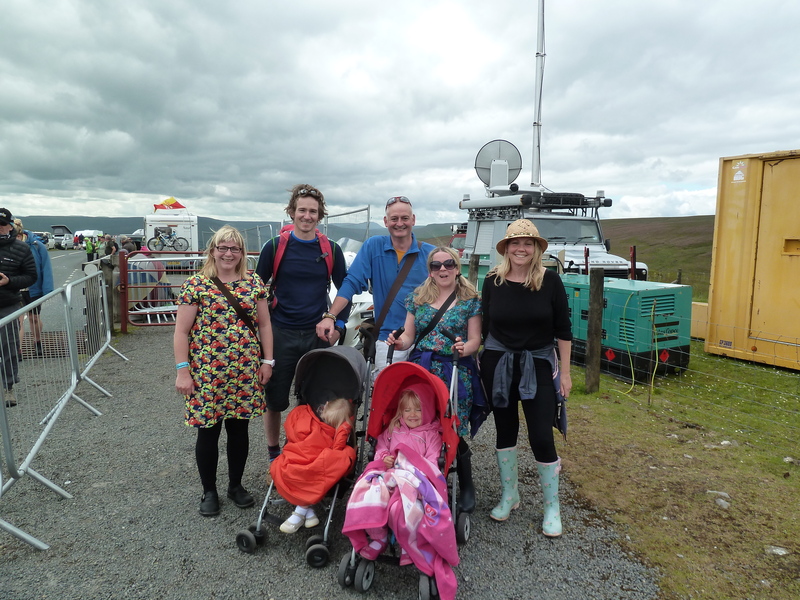 If you can recommend any other blogging challenges let me know……..
Another year has come to an end once again. How time flies! 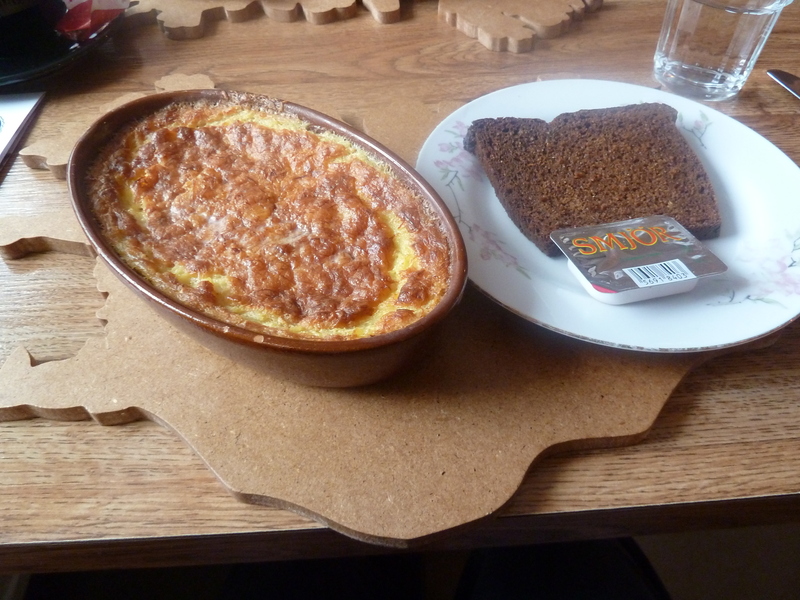 As is now tradition on my little blog( a new tradition of two years!) 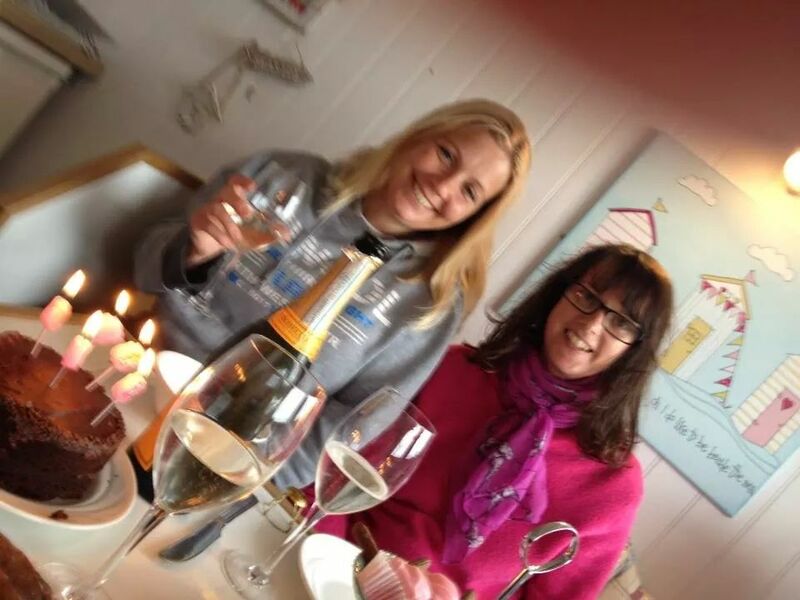 here is a quick roundup of my year….in pictures. January had its ups and downs. We lost our beautiful old labrador Jake which hit us hard. And my family’s farm came out of the family when my Uncle retired. So a pretty emotional month. 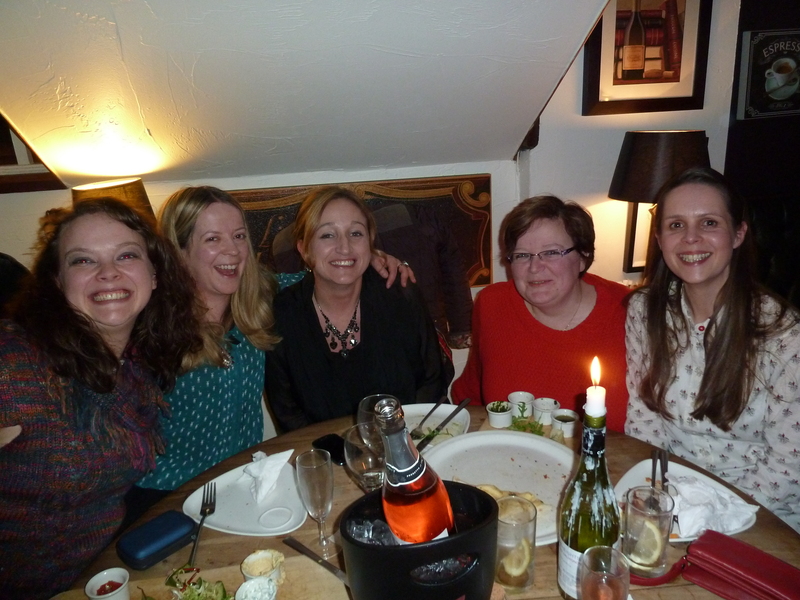 I did get chance to go for a fun family meal with my lovely sister and cousins. 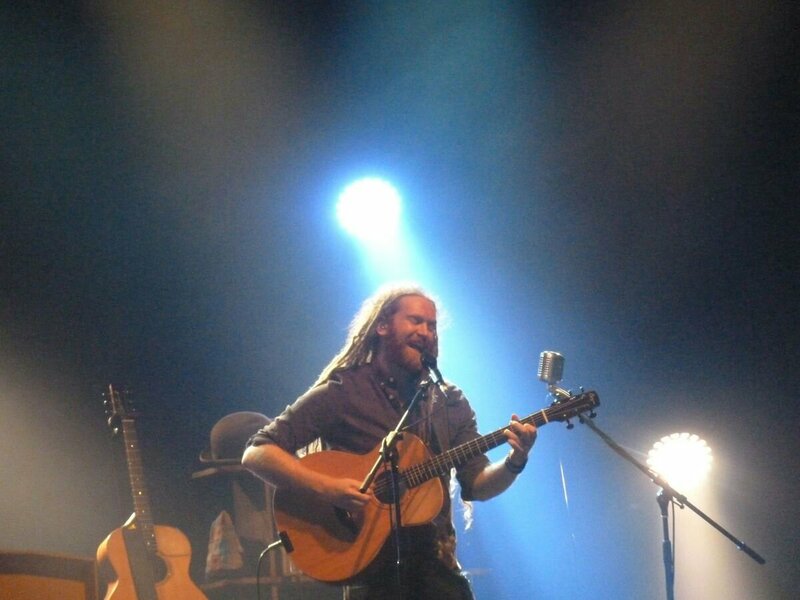 In February Wil and I managed a night away in Leeds and saw one of our fave singers ‘Newton Falkner’. 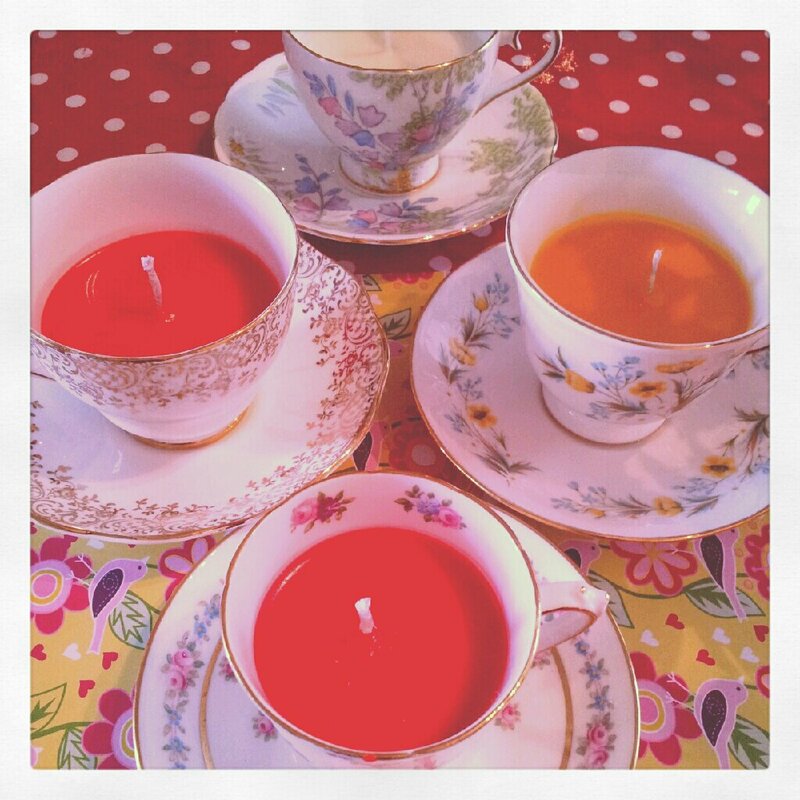 I also started making teacup candles again after a month off.I like to sell them at craft fairs. Easter Monday fell in April and the sun was shining so we had a day out at the seaside. 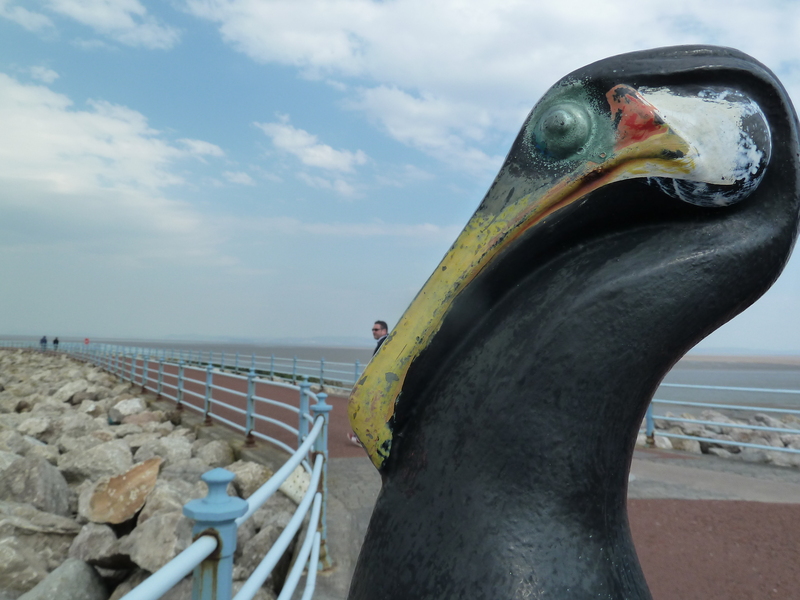 🙂 Morecambe Bay is a gorgeous area to visit if you’re ever in Lancashire. 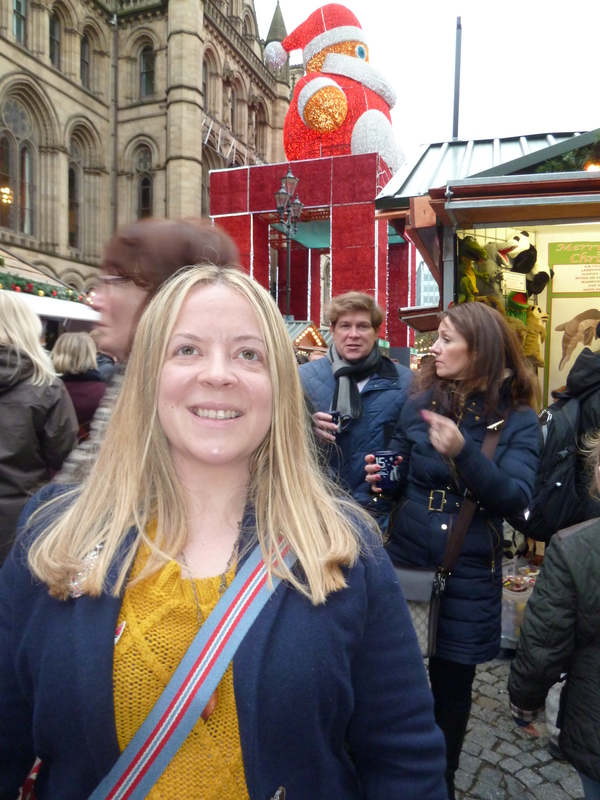 I also spent the day in Manchester with some of my besties. In May I purchased a beautiful vintage suitcase from a craft fair friend. 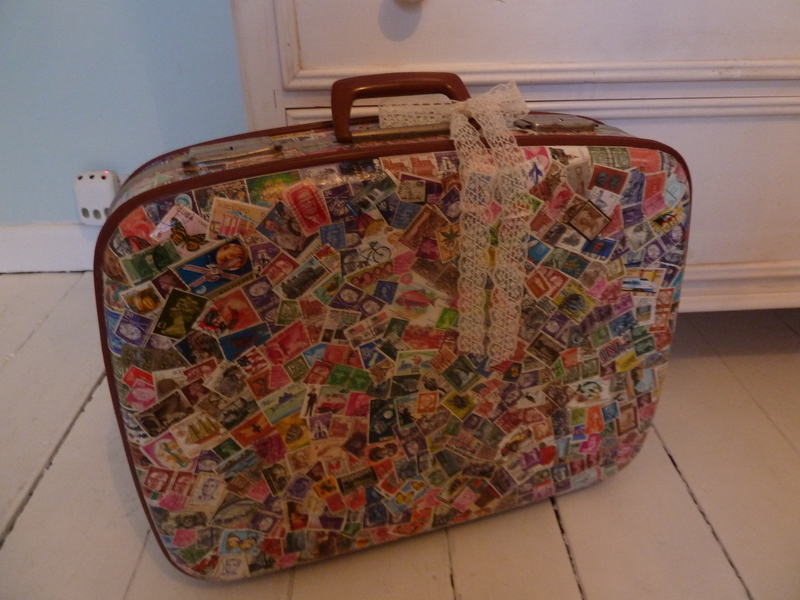 Its covered in postage stamps from all over the world. 🙂 And I spent a few days at my Mums in the lovely Lakes. 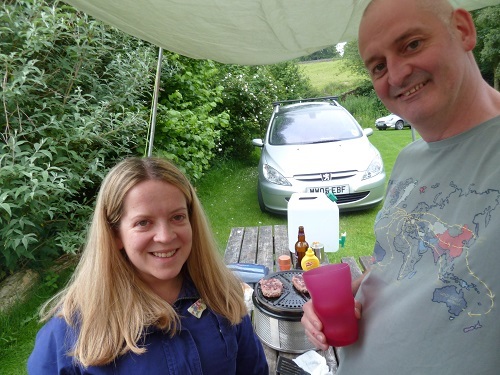 We had our first camping trip of the year in June at Appletreewick in the Yorkshire Dales. The tour winner in the yellow jersey ~ Nibali. July was a pretty special month! 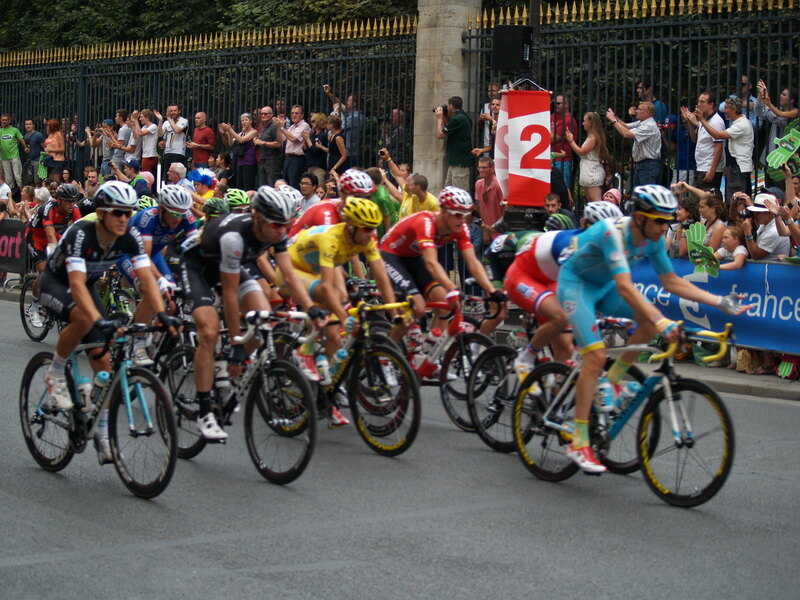 Not only were we lucky enough to watch the beginning of the ‘Tour de France’ in Yorkshire, we saw the end too in Paris. Both experiences were fantastic and although not a huge cycling fan, I enjoyed myself very much. 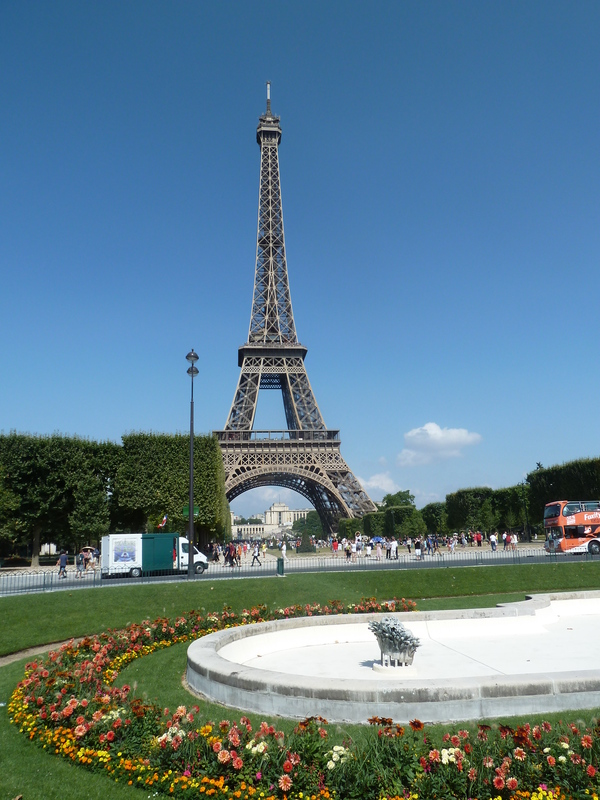 We spent four nights in Paris and it was my first time there and was as wonderful as I imagined it would be. Red Bank Farm from the lane. 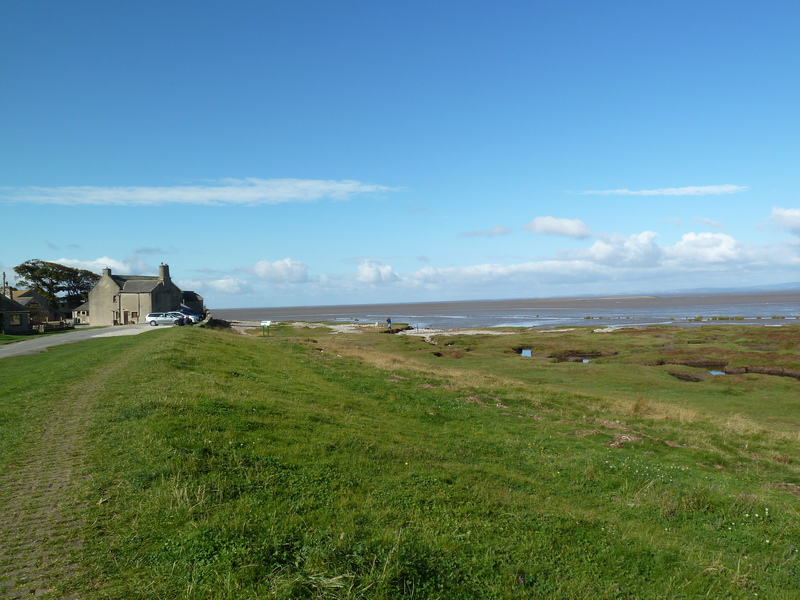 time.Also went camping with Wil on the coast at a great little site ‘Red Bank Farm’ near Morecambe. 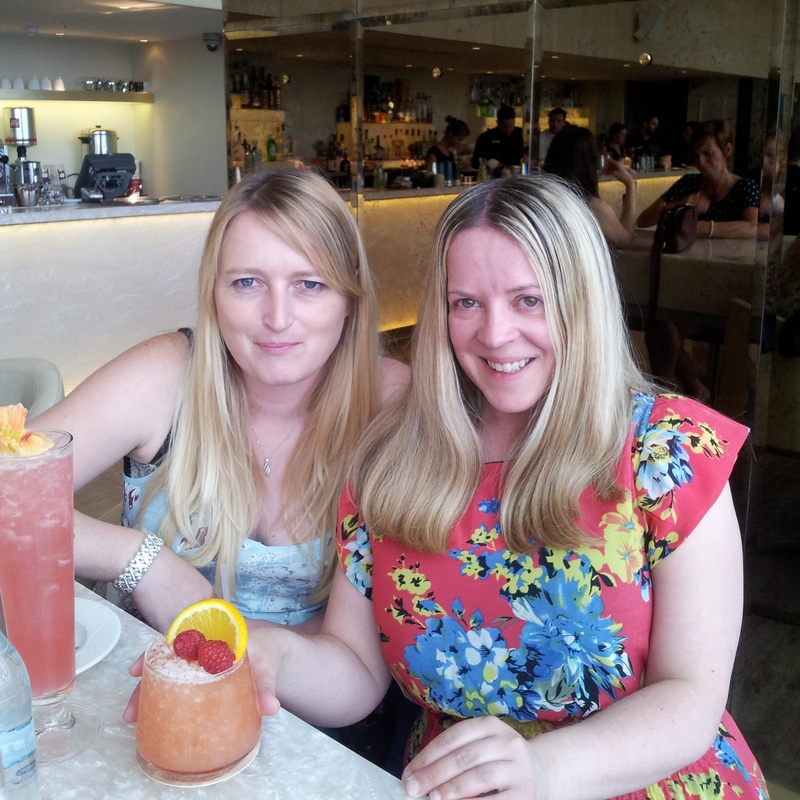 In September I enjoyed taking some pics at the ‘Ribble Valley Mod Weekender’ and helped celebrate a friends birthday with cocktails in the clouds ~ well almost, Cloud23 in Manchester. 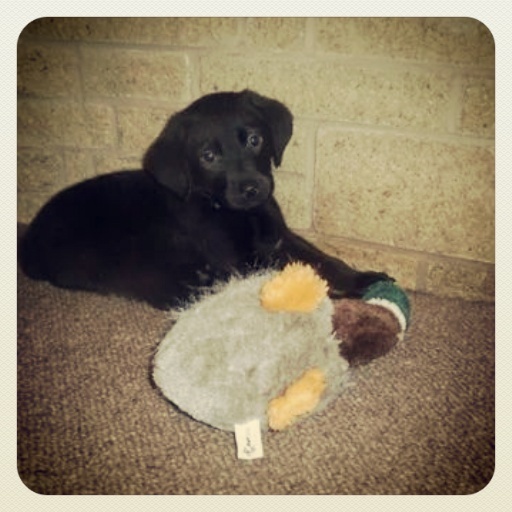 Baby Hugo and his duck. The duck and its replacement didn’t last long! 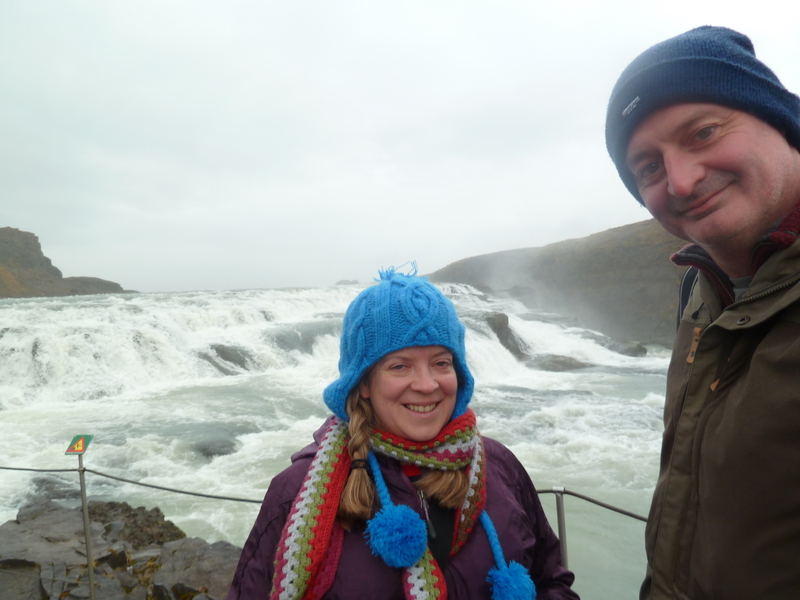 Exciting times too in October with a lifetime ambition to visit Iceland achieved! An otherworldly destination I would love to return to. 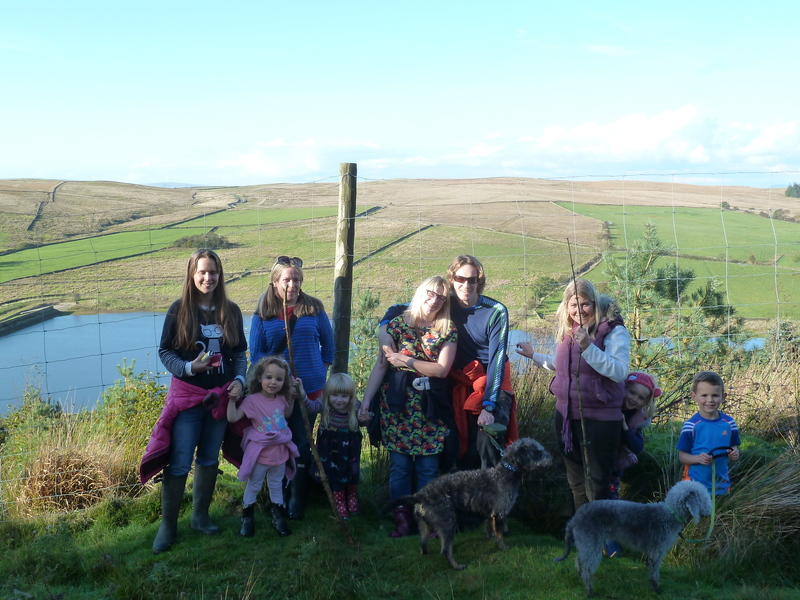 🙂 There was also a fun and interesting walk with friends and family along the Pendle Sculpture trail ….and we welcomed a new edition to the family. Hugo! 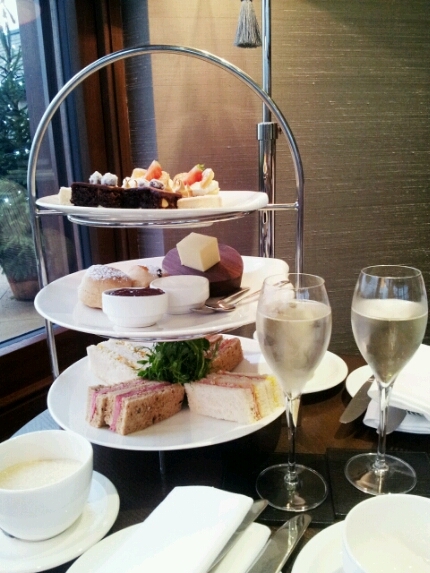 Afternoon tea at Northcote Manor. 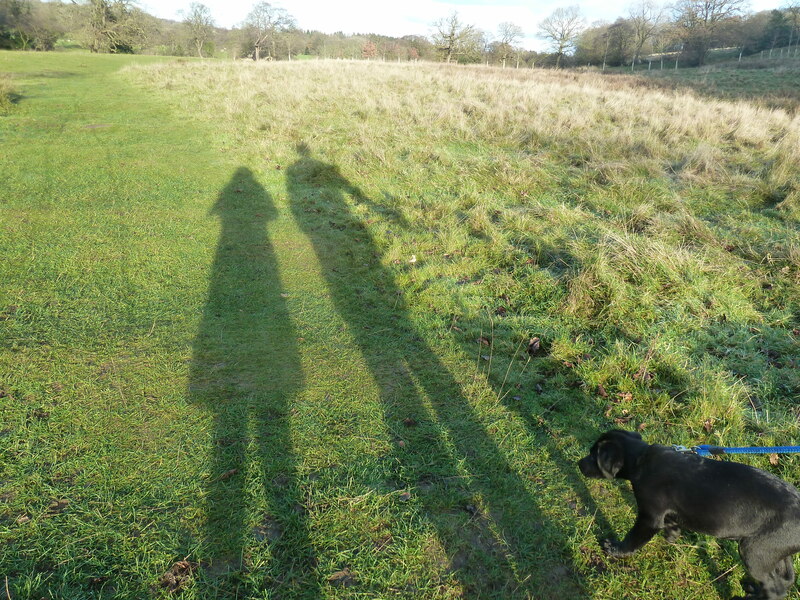 November meant Hugo was old enough to take out on his first walks. 🙂 And Wil treated me to Afternoon tea at a posh restaurant for my birthday. And its now December ! Looking back at my year it looks like I have certainly got out and about a bit. The Take12trips challenge I participated in certainly inspired me in that I think. Might be something I could go back to next year. Mostly though 2014 has been a great one spent with the people I love. Aw. 🙂 Heres to a fab 2015! 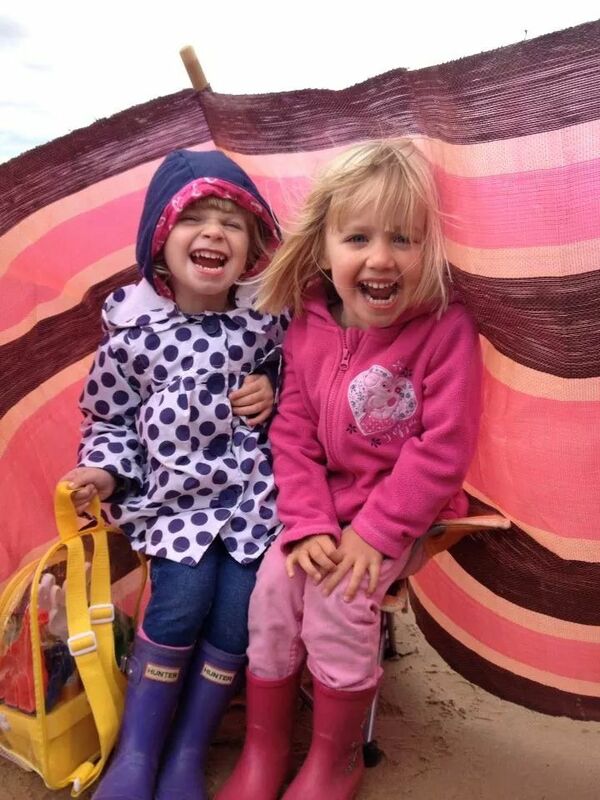 Days at the seaside are wonderful whatever the weather. 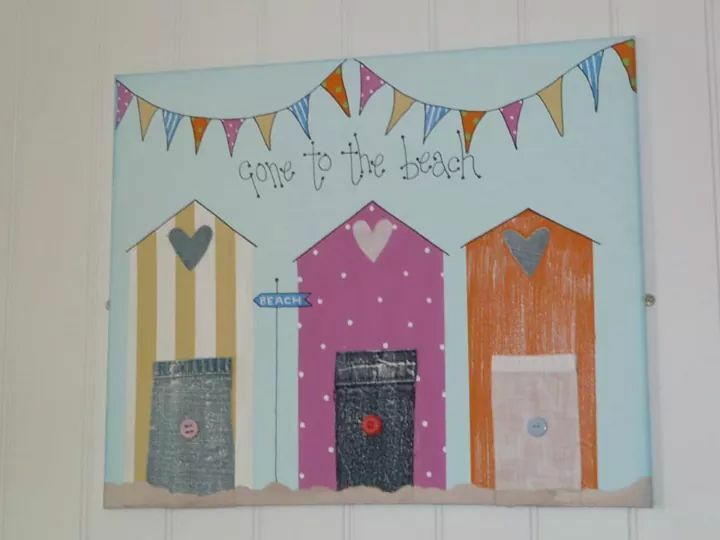 In August I really enjoyed a Beach Hut day in St Annes with some friends. 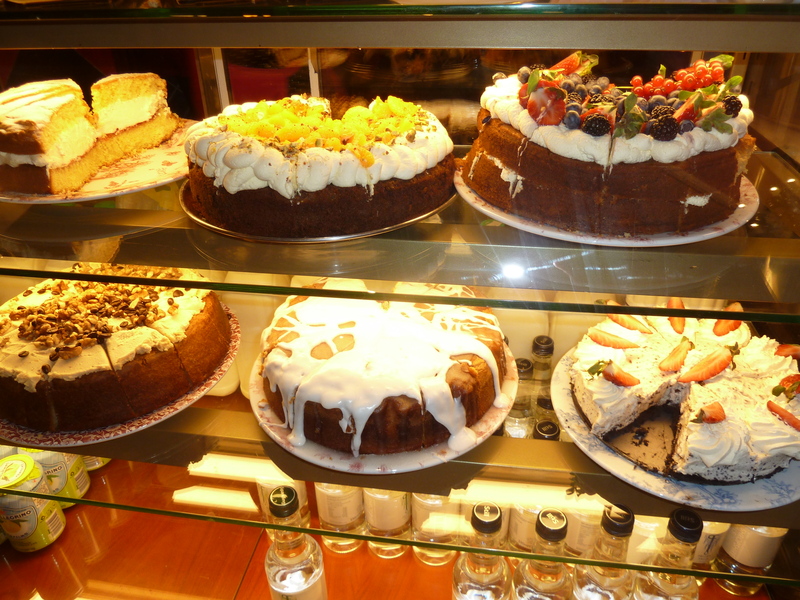 Back in January I sampled yummy cake at a a quirky tea rooms in Manchester. 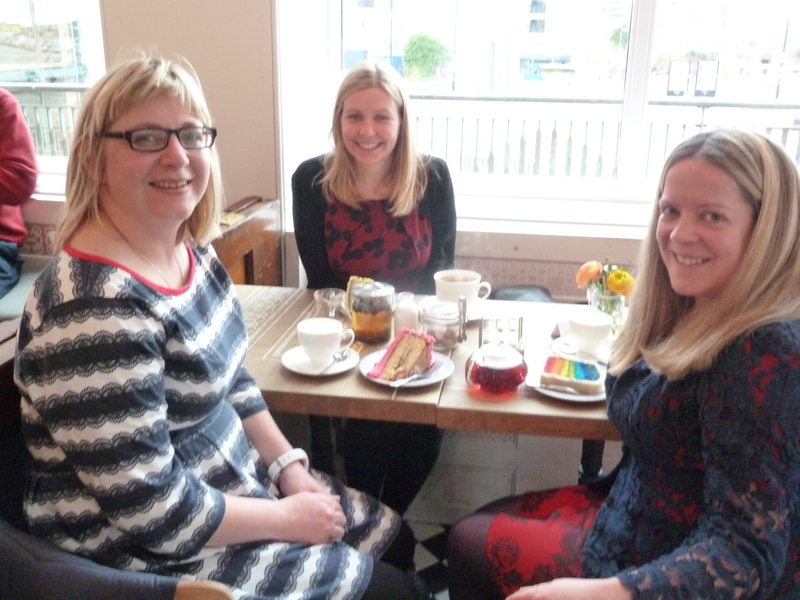 Tea Room trips are the best! Mays trip was a few days spent in Cumbria with family, so I blogged about some of the places I visited in the North Lakes area. 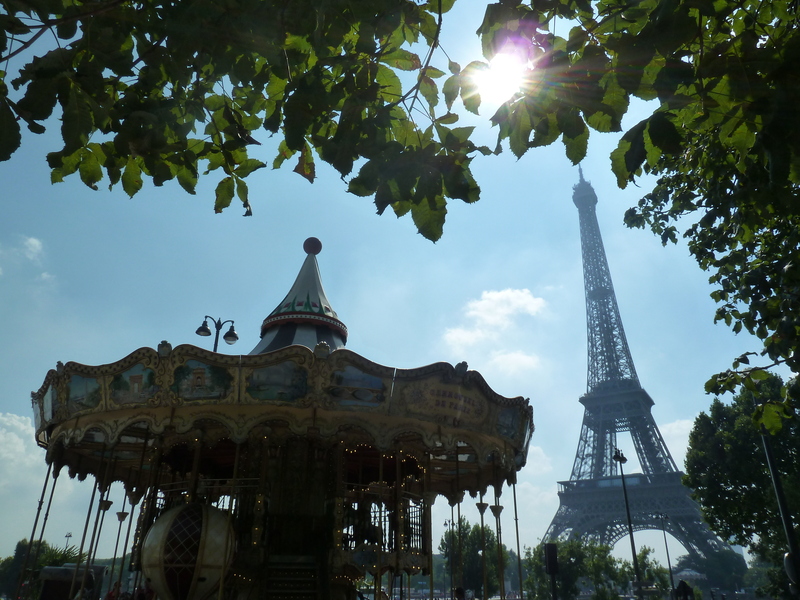 In July I was fortunate enough to spend a few days in Paris. . Of course it was as wonderful as I imagined it would be! 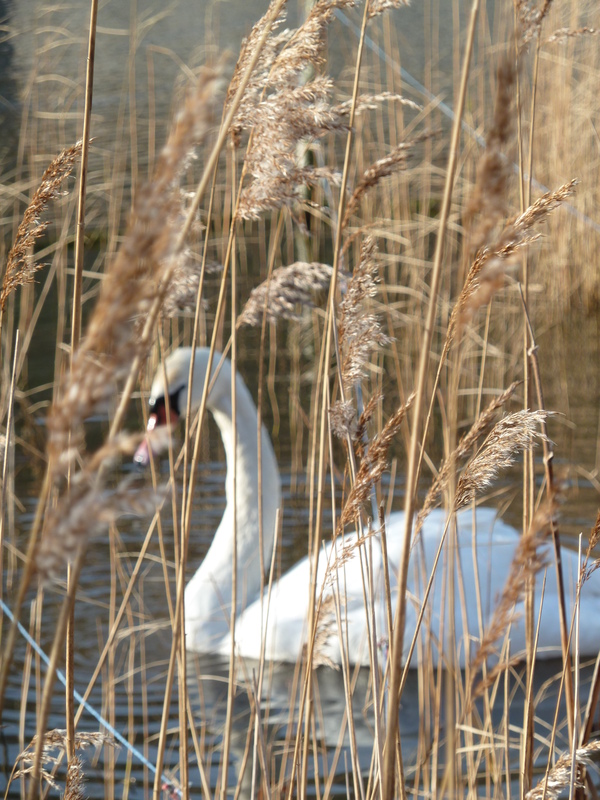 A winters walk round Brockholes Nature Reserve was the perfect place to blow away those Christmas Cobwebs in December. 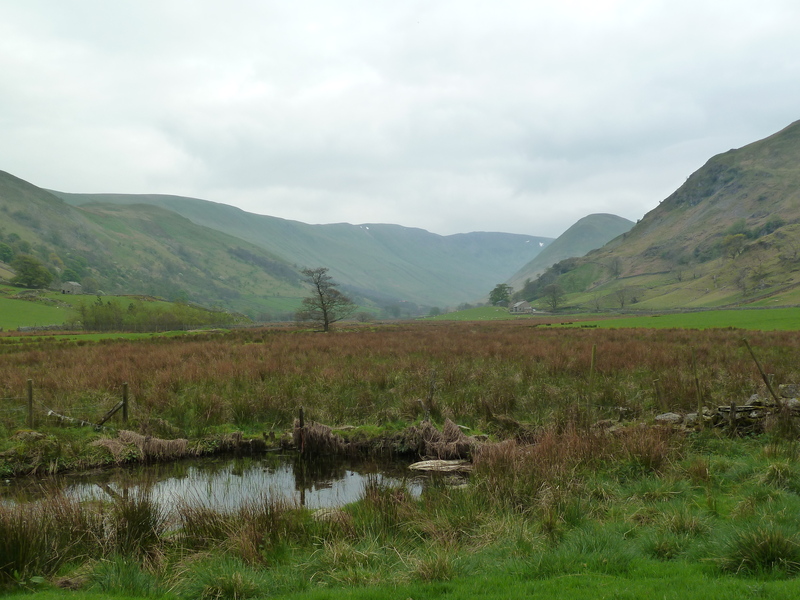 Its always good to get away camping and where else but the beautiful Yorkshire dales in June. And of course there were other trips too. One for every month of the year! So bloggers if your looking for a new challenge , why not mosy on down to Clare’s site and have a go at the #take12trips challenge too. As you can see I really enjoyed participating. 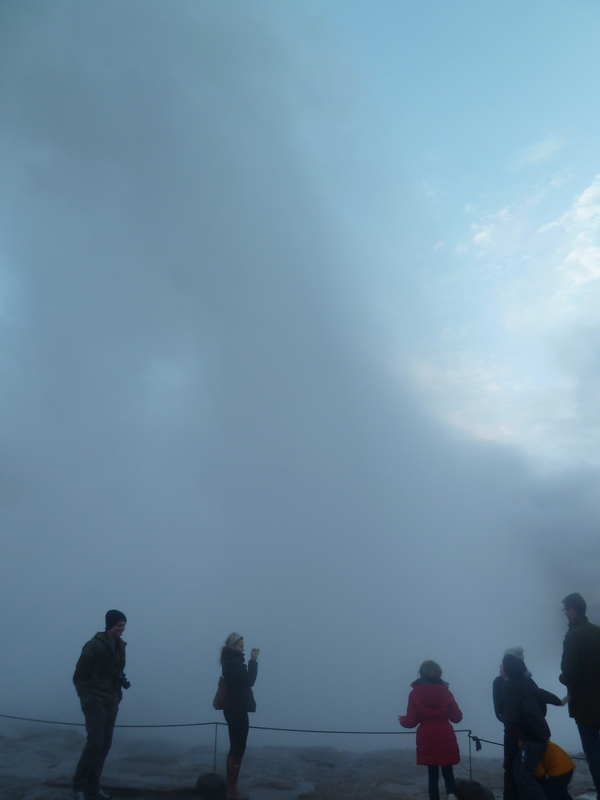 Iceland day three~ The Blue Lagoon & Reykjavik. There are various entry packages for the Blue lagoon. We chose the comfort package which includes a towel, bathrobe, a drink at the swim to bar and a mini spa treatment. These set us back about £50 each but we totally appreciated the towels and robes when getting out of the hot water into the cold air. Everyone wears wrist bands which cleverly operate the changing room lockers and they are scanned at the bar too ,when paying for drinks. 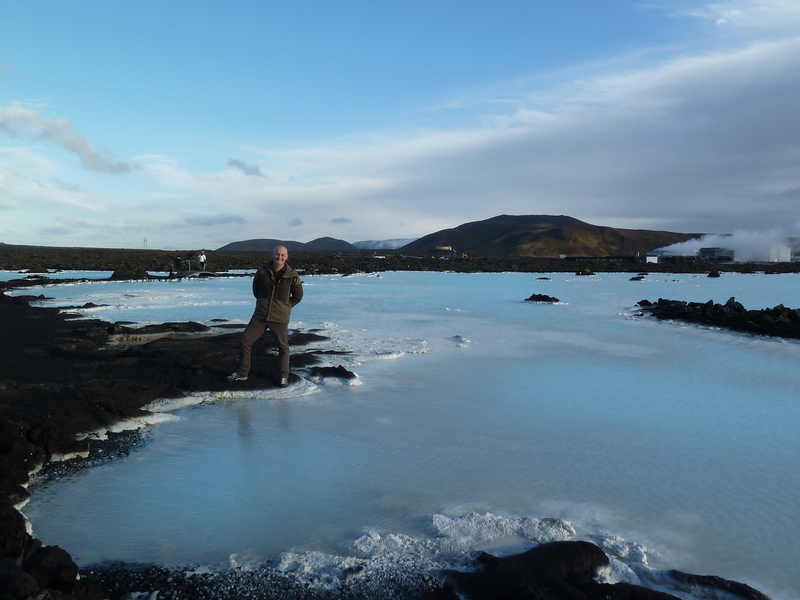 Wil on our lava field walk where there are more geothermal waters. 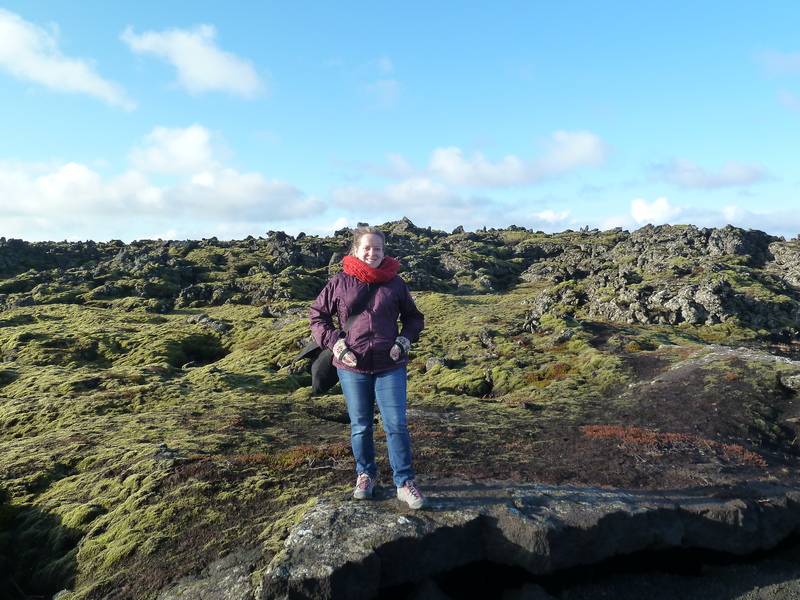 Lava fields surround the Blue Lagoon. Colourful house in the old harbour area. 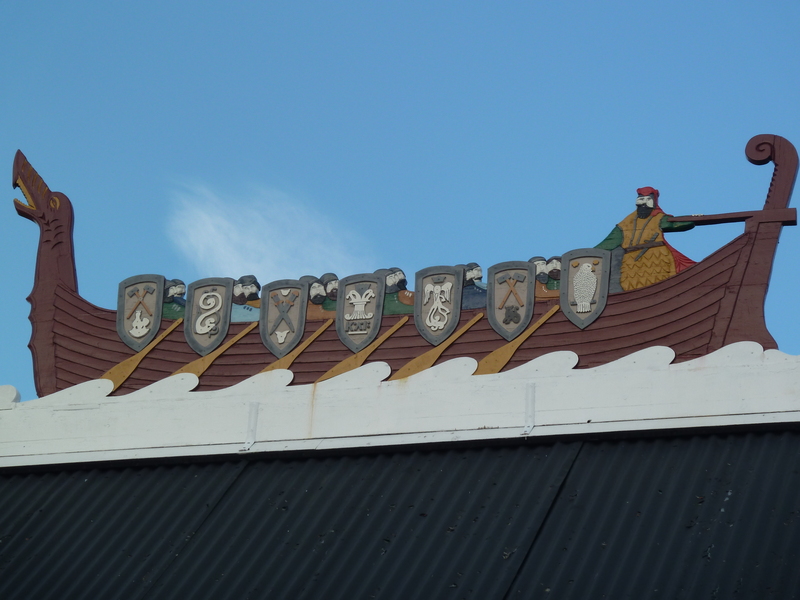 Longboat on a roof ! 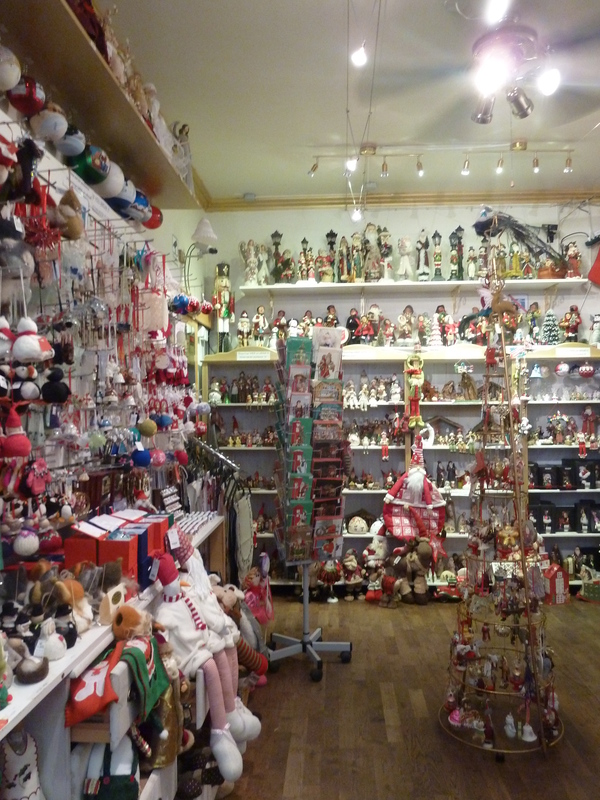 Inside one of Reykjaviks Christmas shops. 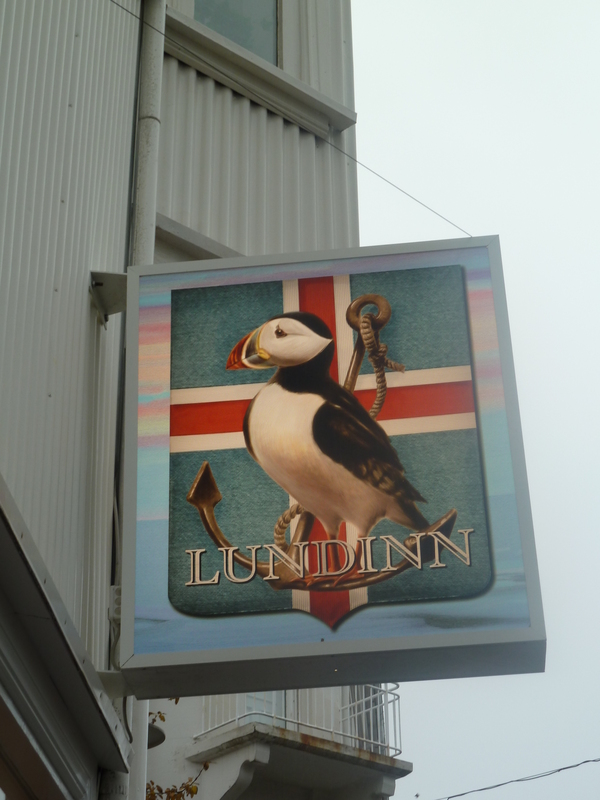 Theres also a shop devoted to puffins. 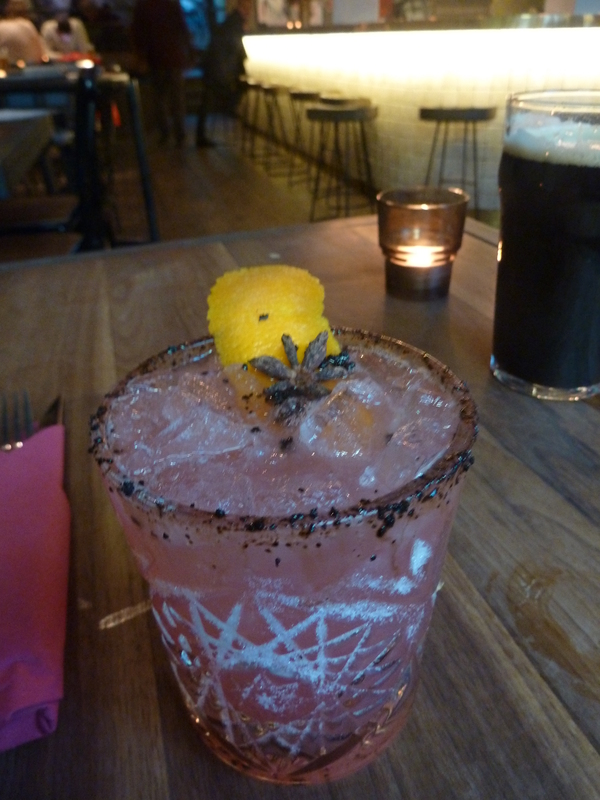 A beer and a rhubarb, vodka and aniseed cocktail in the Bunk Bar. 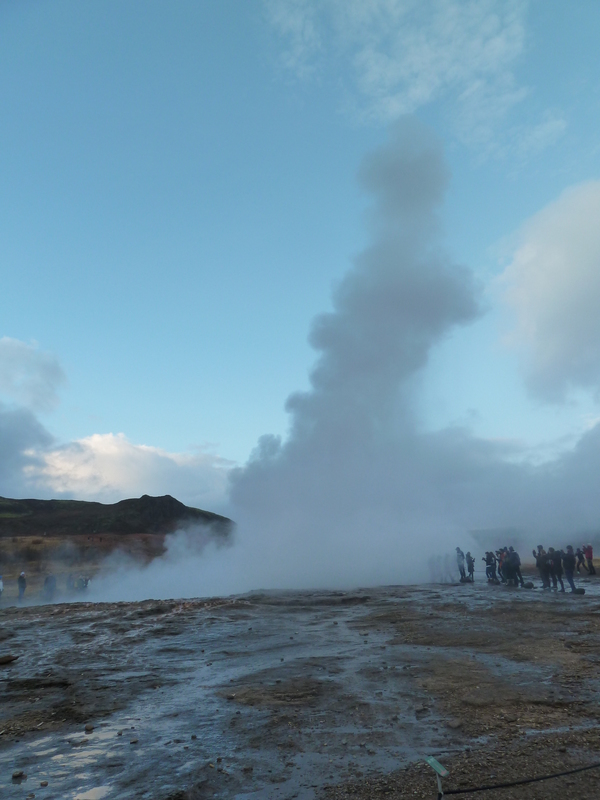 Have you ever been to Iceland and what was your favourite part of your trip? 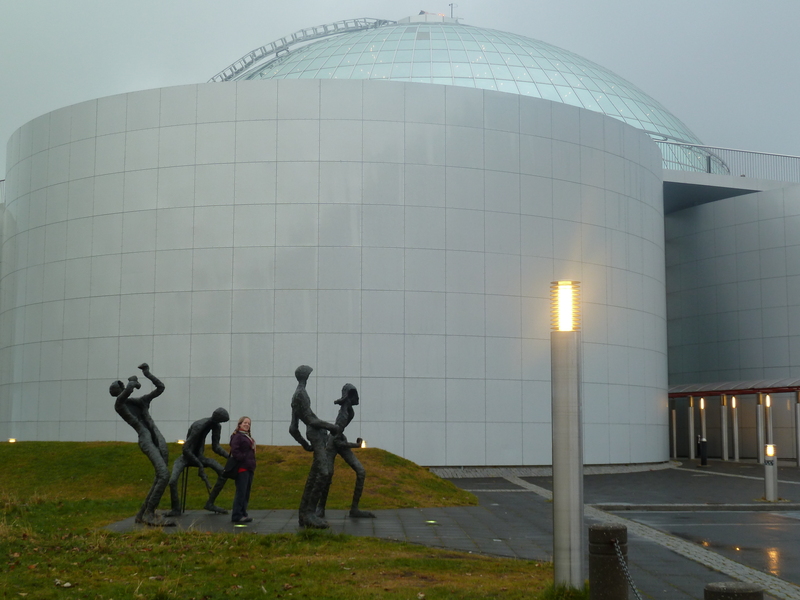 Iceland day Two ~ Reykjavik and the Golden Circle. 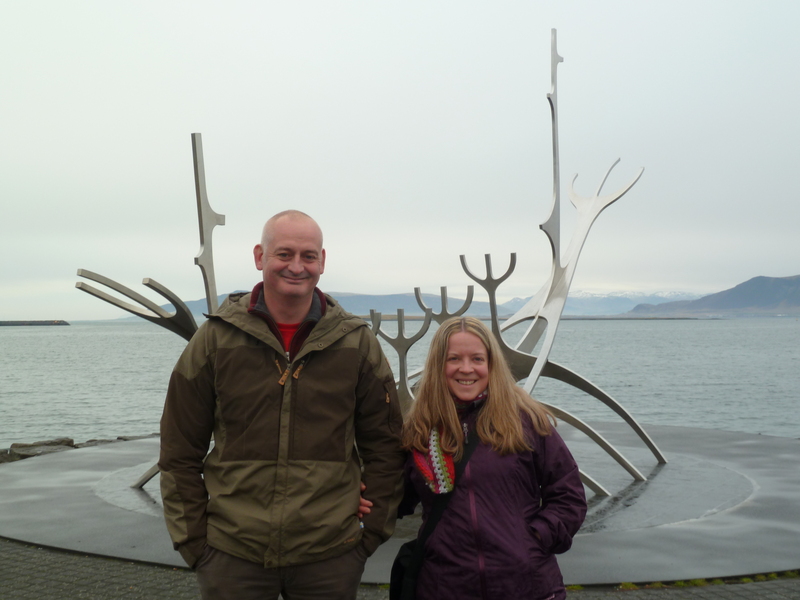 On Day Two of our trip to Iceland , we did the touristy thing and went on a couple of sightseeing tours. 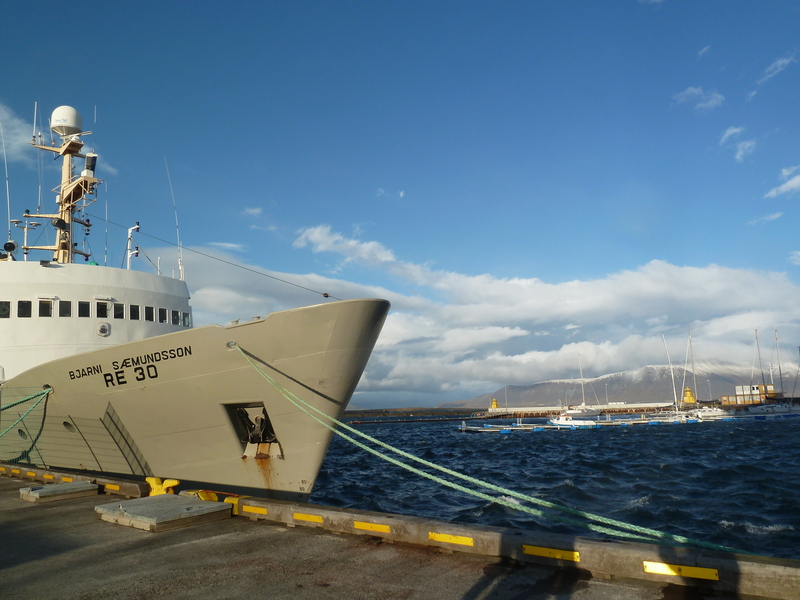 I had booked them before we came away, using Grey Line , a reputable excursion company with an office in Reykjavik, not far from the harbour. In the morning we did their City Sights Tour and our guide was interesting and informative. A mini bus picked us up from our hotel and we were on our way. 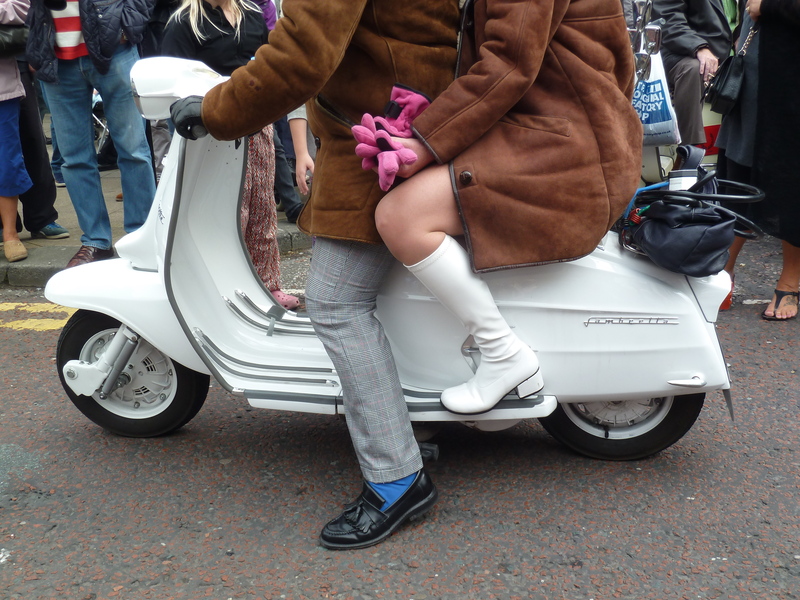 This is a bit of a whistle stop tour of the city with a few hop on and off photo opportunities. 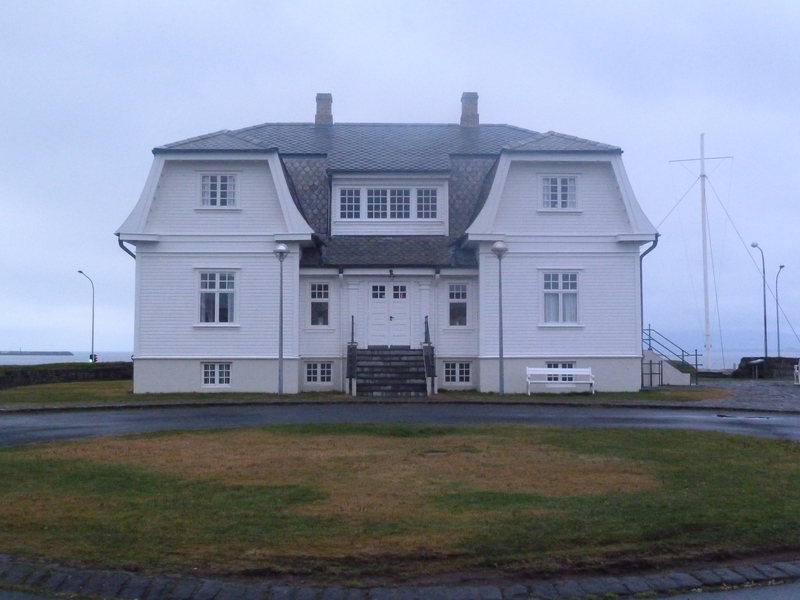 Places we saw included the Hofoi House where the Presidents of the US and Russia ended the Cold War in 1986, Icelands President’s residence on the coast ( unfortunately obscured by fog), the glass domed Perlan which has great views over the city and a revolving restaurant & also the massive Hallgrimskirkja, which we had taken a look at the day before. 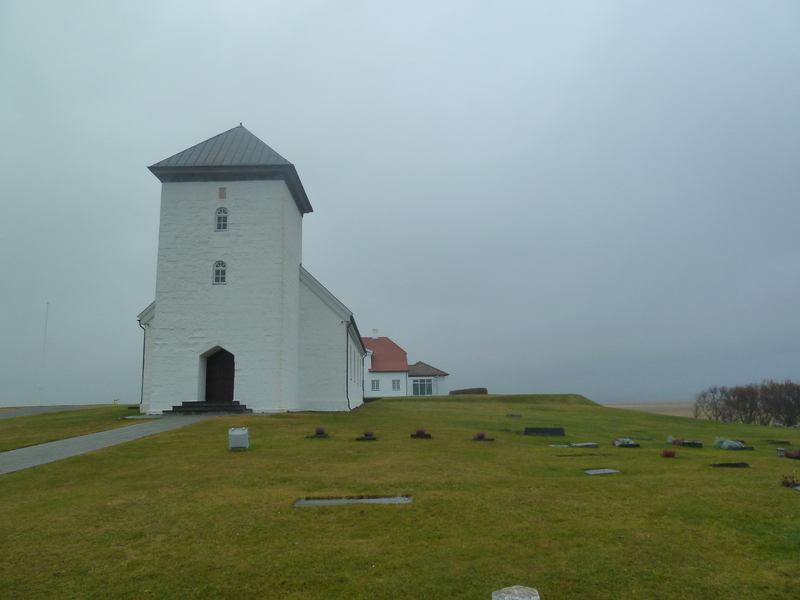 Pretty church looking out onto a fog obscured sea. 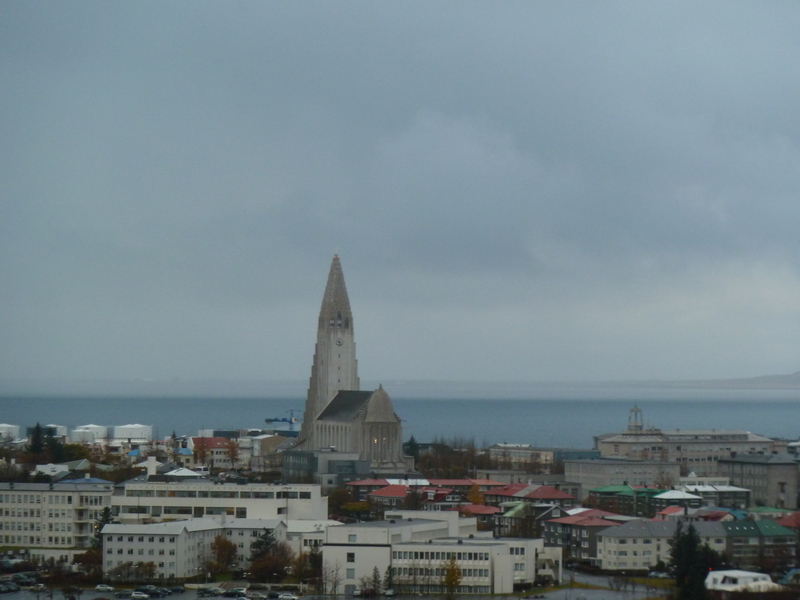 View of Hallgrimskirkja from the Perlan. 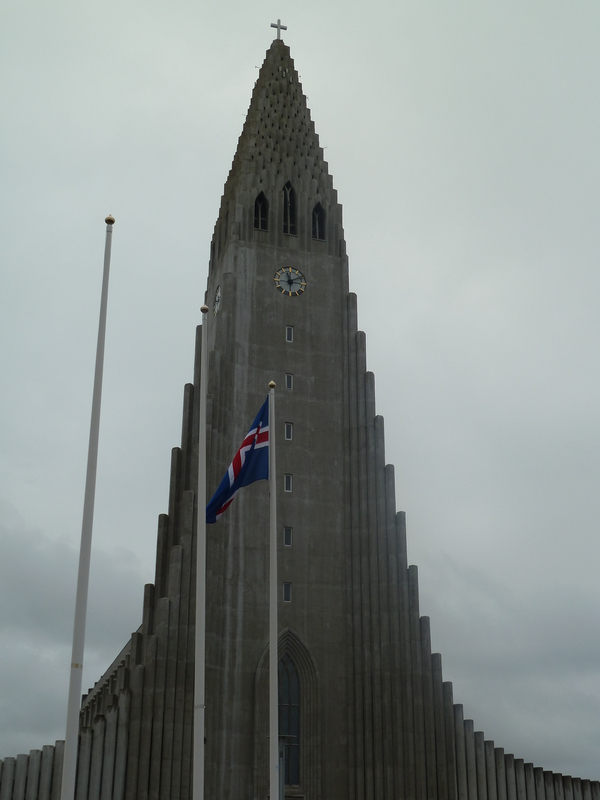 Hallgrimskirkja Church, a focal point of the city. 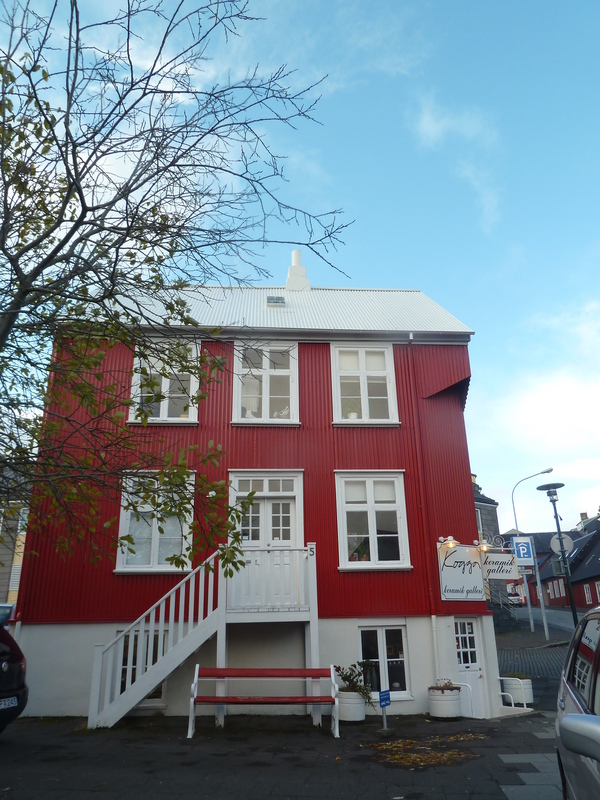 There was time at the end of the mornings tour to go in search for lunch and so we found Gamla/Old Island on Laugavegi 72, which is the main shopping street in Reykjavik. 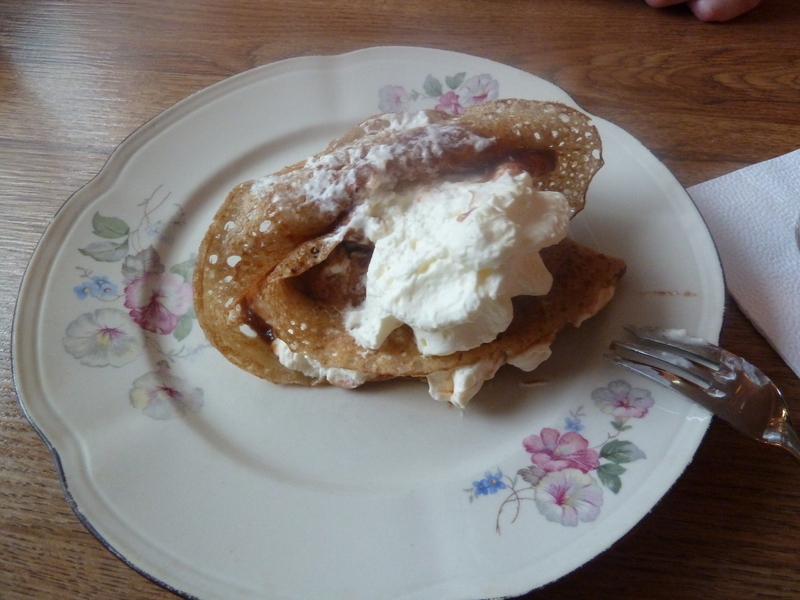 We both had warming Salt Fish au gratin followed by Icelandic pancakes served with whipped cream and rhubarb jam. Delicious! 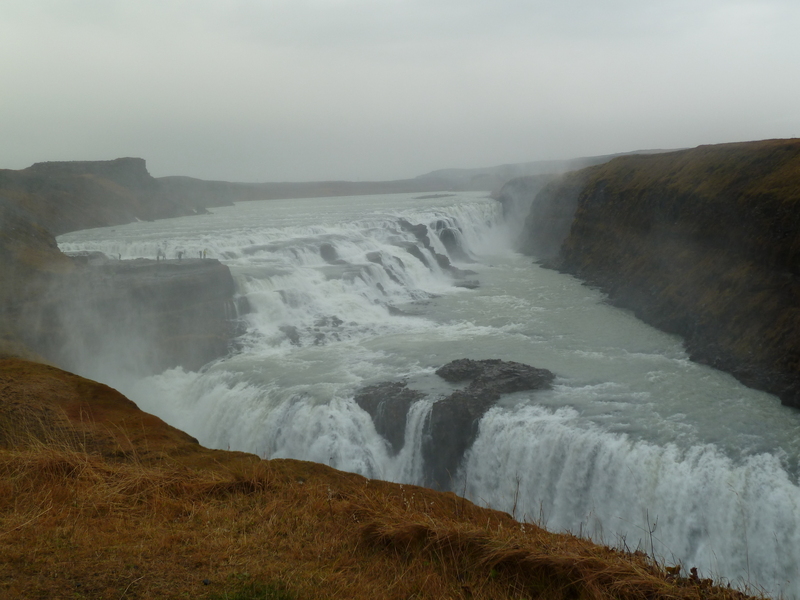 Gullfoss – The Golden Falls. 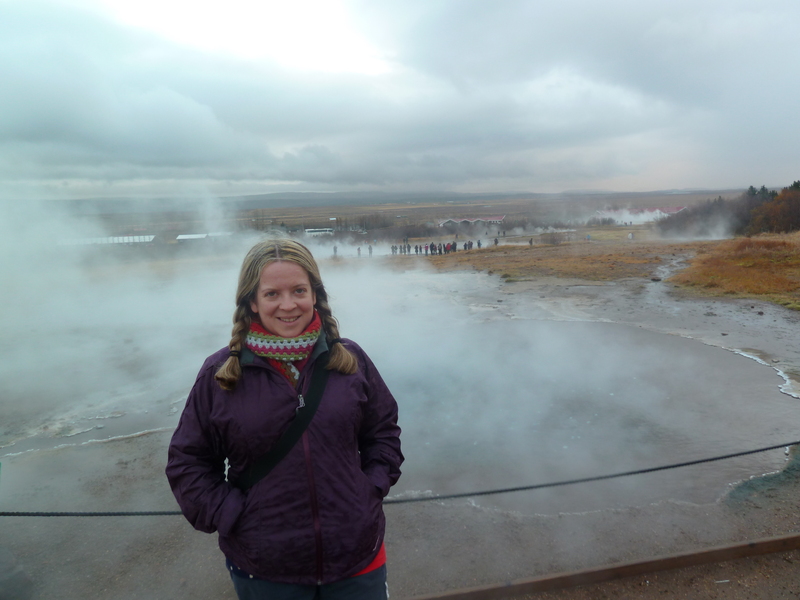 Walking around the geysir area. It was great to get out of the city into the countryside. I had imagined Iceland to be a bare and barren place once you get away from the coast, but the National Park area was actually really scenic with moss covered lava fields, grassy meadows, mountains ( every one is a volcano) , farmsteads with colourful buildings and planted forests dotted here and there. Saw lots of beautiful hardy looking Icelandic ponies, sheep, flying geese and grouse as the coach made its way back to the city in the early evening. 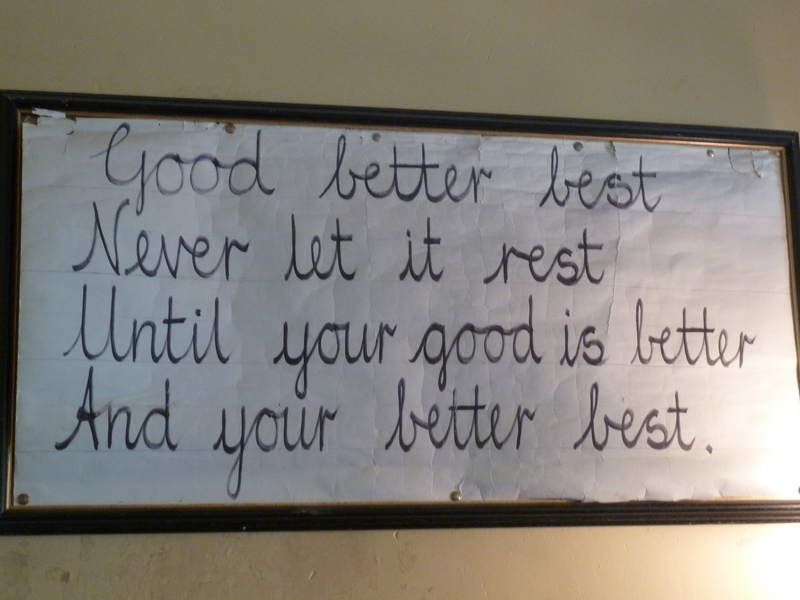 This post is my last one for #take12trips. 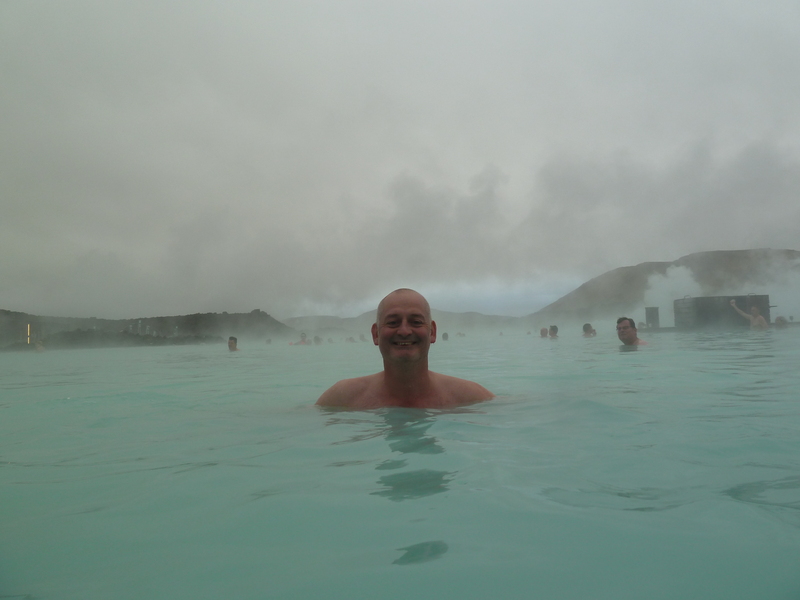 Look out for my Day three post featuring The Blue Lagoon very soon. 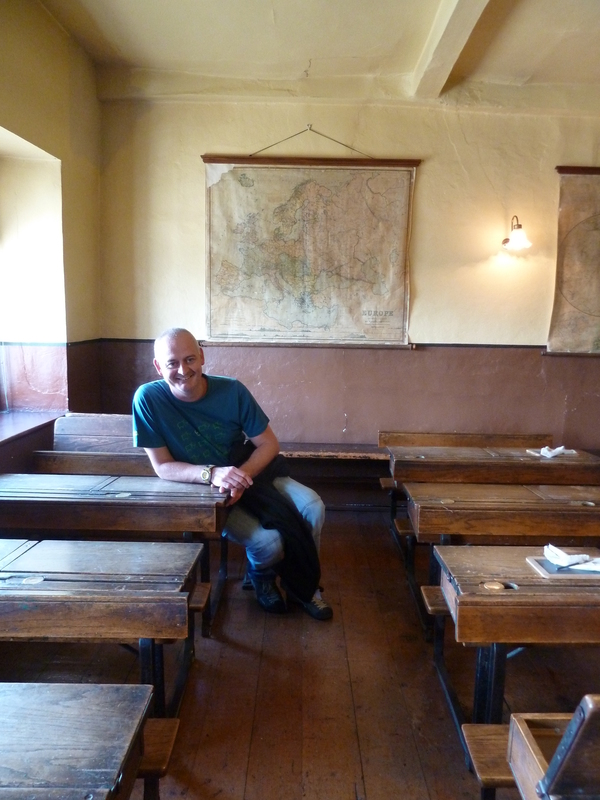 A day out in Lancaster. 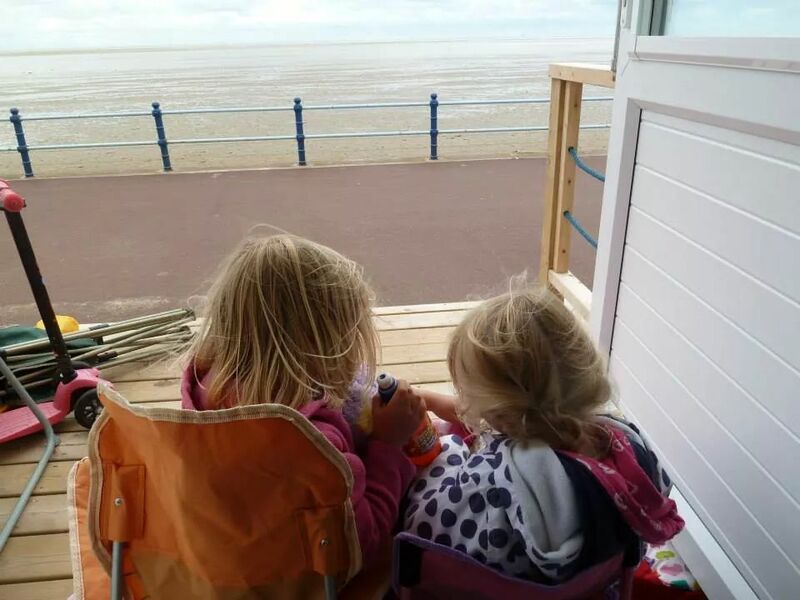 If you have been reading my recent posts, you will know that we had a few days away camping on the coast at Bolton le sands.Oneday we decided to get the bus into nearby Lancaster. If you have ever been to this Lancashire town, you will know it is great for shopping and nights out. It is also worth exploring for its fascinating history ~ so I am including our visit for my #take12trips entry for September. 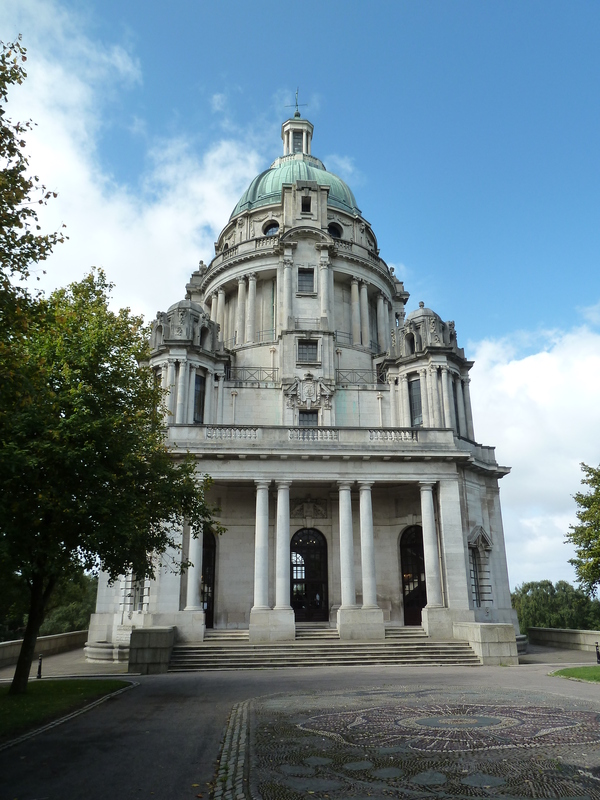 The first thing we did when we arrived was actually head out of the centre to Williamson Park. 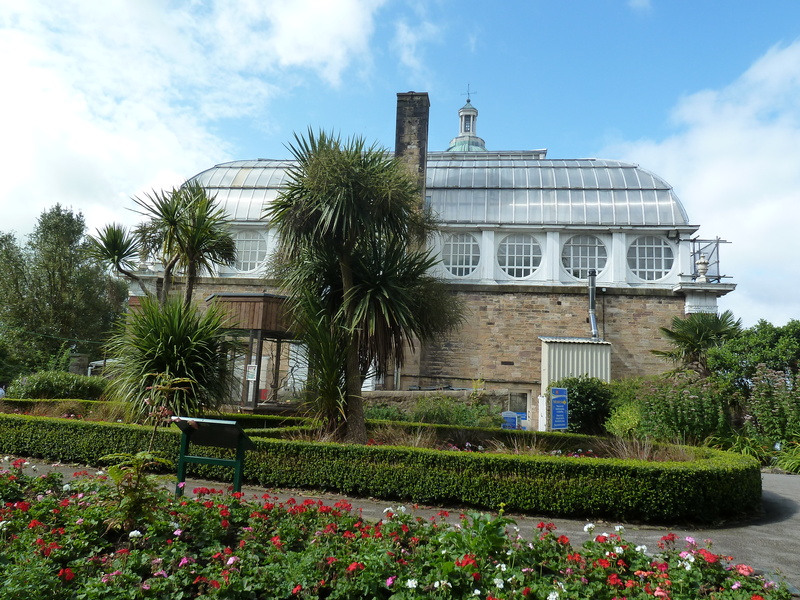 This beautiful parkland is home to an edwardian butterfly house and the imposing Ashton Memorial, which dominates Lancasters skyline. 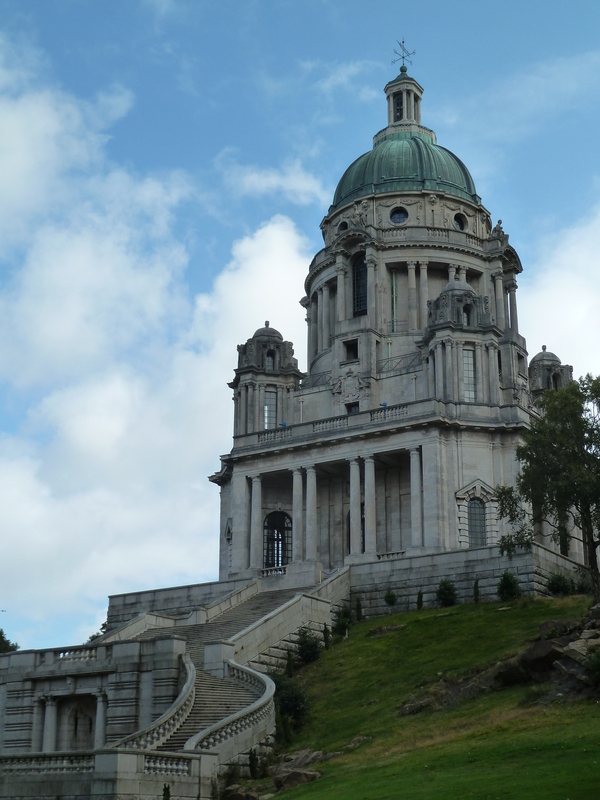 The Ashton memorial reminded me of the Sacre Coeur or even the Taj Mahal. 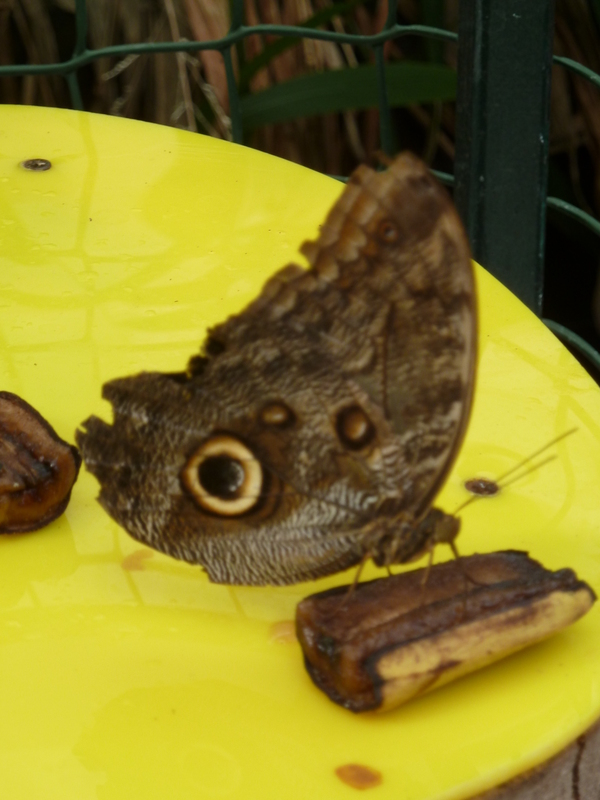 I must admit I did love the butterfly house. 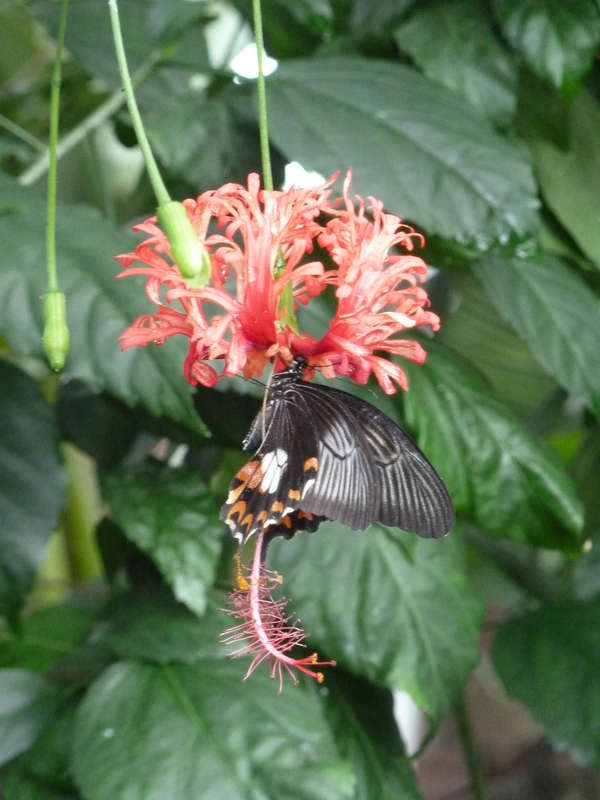 Could have spent hours in there chasing the butterflies round for photographs. 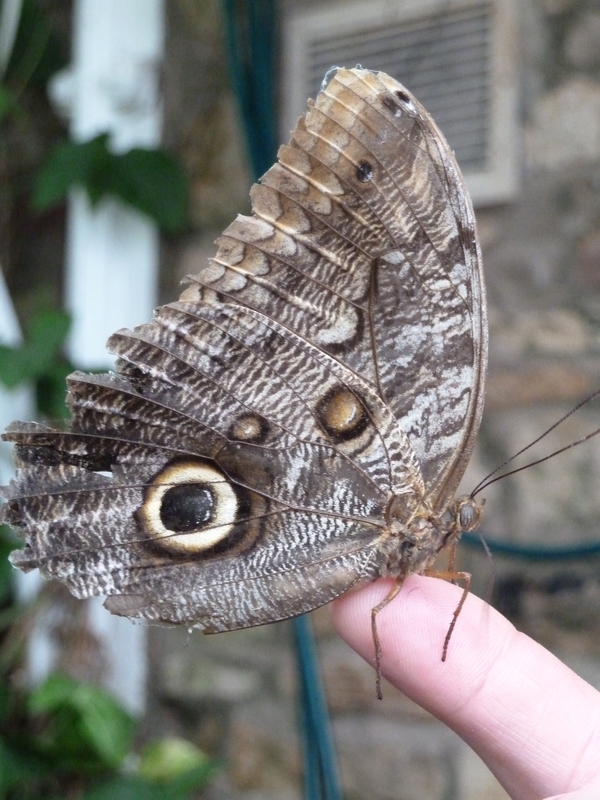 Several species such as Swallowtail and Owl butterflies fluttered in between the palm trees , delighting the visitors, even landing on us ~ well Wil anyway. 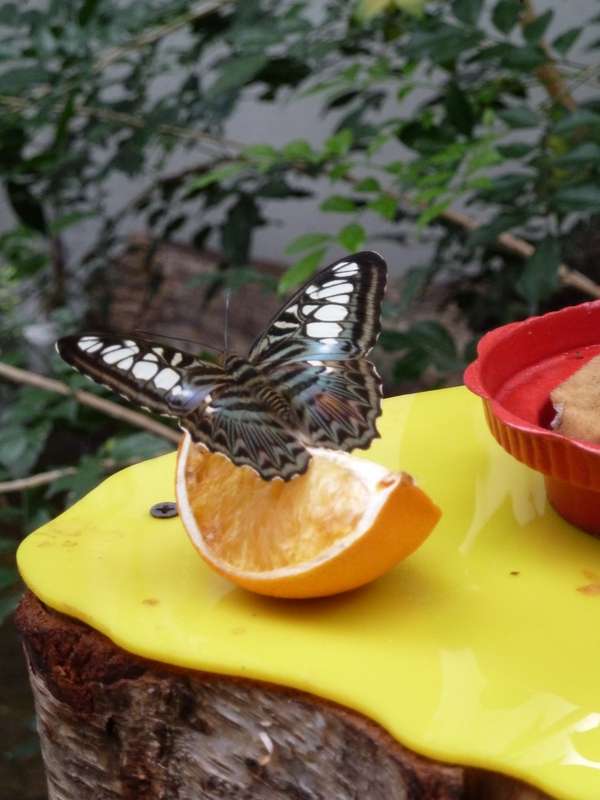 As well as the Butterfly house there is also a mini beast house, aviary with free flying birds, animal garden and cafe and gift shop , all situated near the memorial. I wish we had explored the grounds a little more as the park has woodland walks,trails, monuments and ponds. 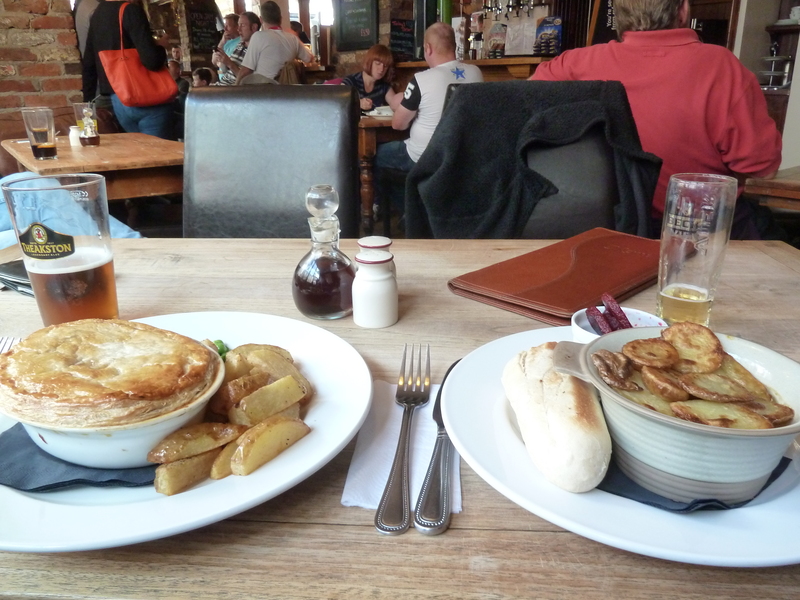 For lunch we headed back into the city and enjoyed some good traditional pub grub in the Penny Bank Pub on Penny street, washed down with real ales and cider. 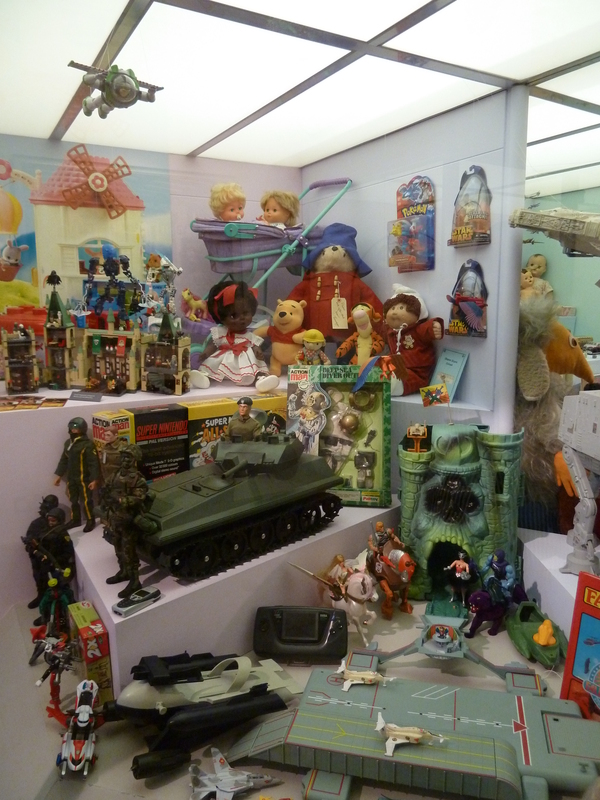 Then we had a look in the Assembly Rooms for vintage treasures. 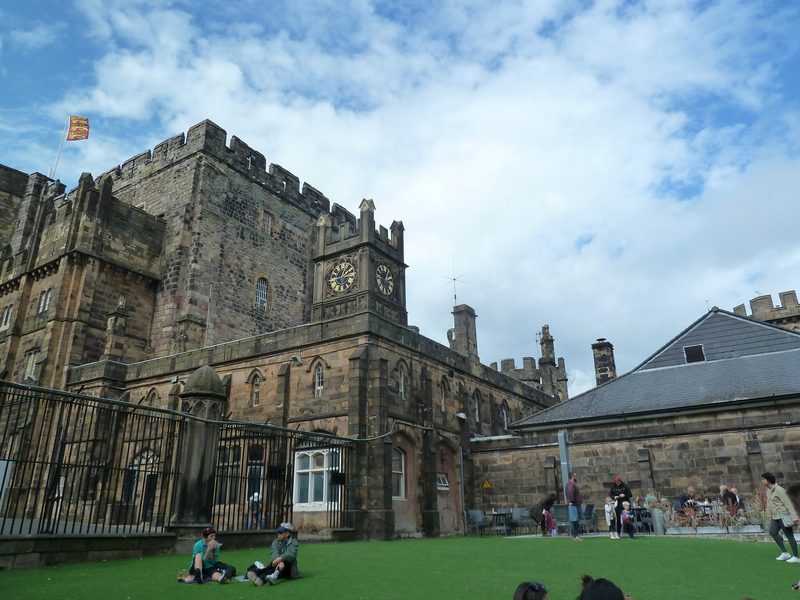 In the heart of the city stands the deceptively Harry Potter like castle with its dark history that includes the Pendle Witch Trials and time spent as a prison. 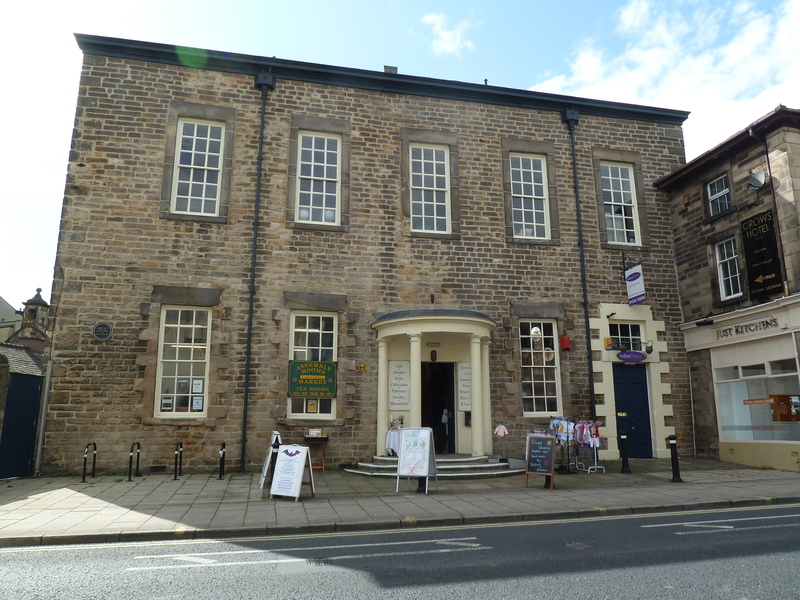 We didn’t do the tour which I regret now, as it is the only way to see inside this grade 1 listed building. 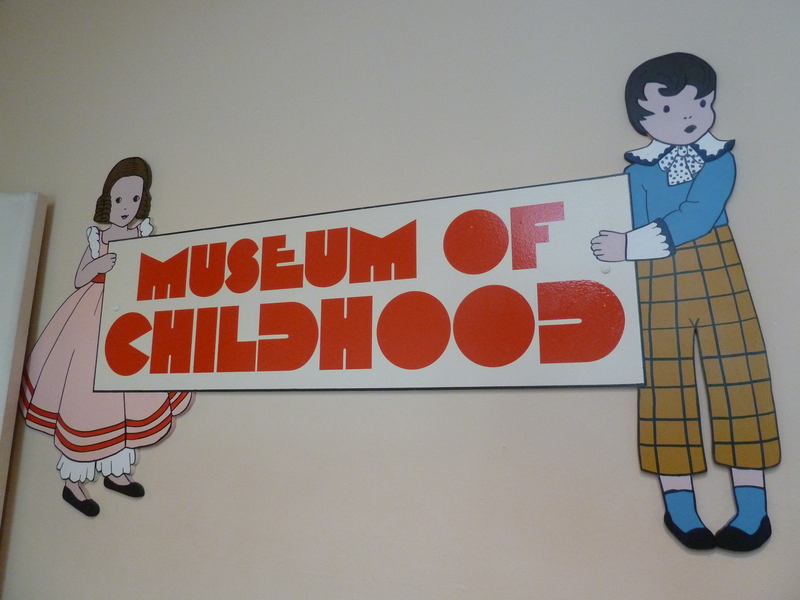 Instead we decided to visit the nearby Judge’s Lodgings which houses The Museum of Childhood. I think I like to release my inner child…and drag Wil along with me. 🙂 This grand house is worth a look anyway with its many rooms decked out as they would have been many years ago. 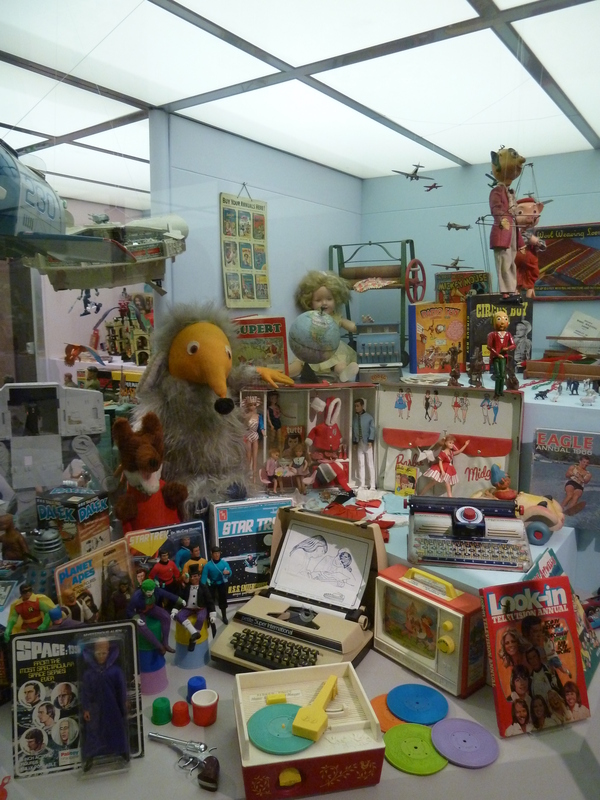 The top floor is devoted to the childhood museum. 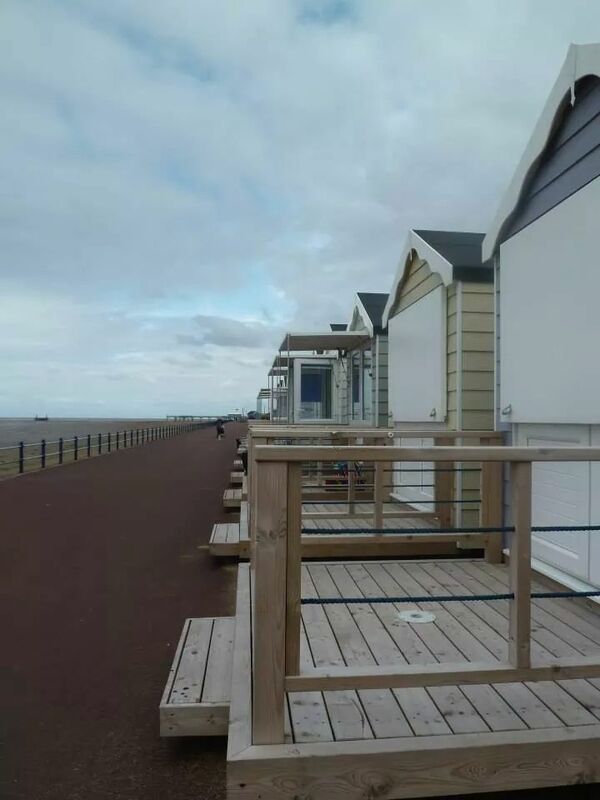 The newly built huts are proving very popular at lovely St Annes on the Lancashire coast. 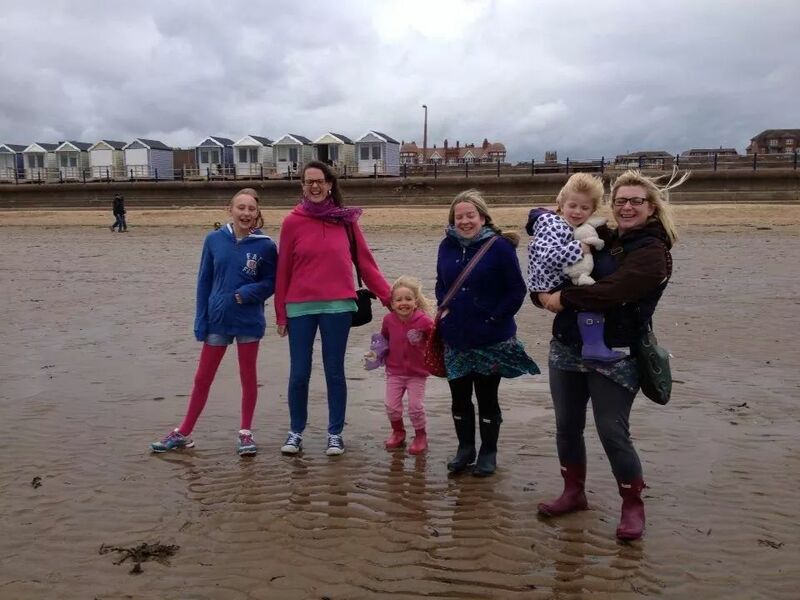 Jo booked through their website St Annes Beach Huts ~ and between four of us it cost around £20 each for the day. The day starts at 10am and you can stay until Midnight. 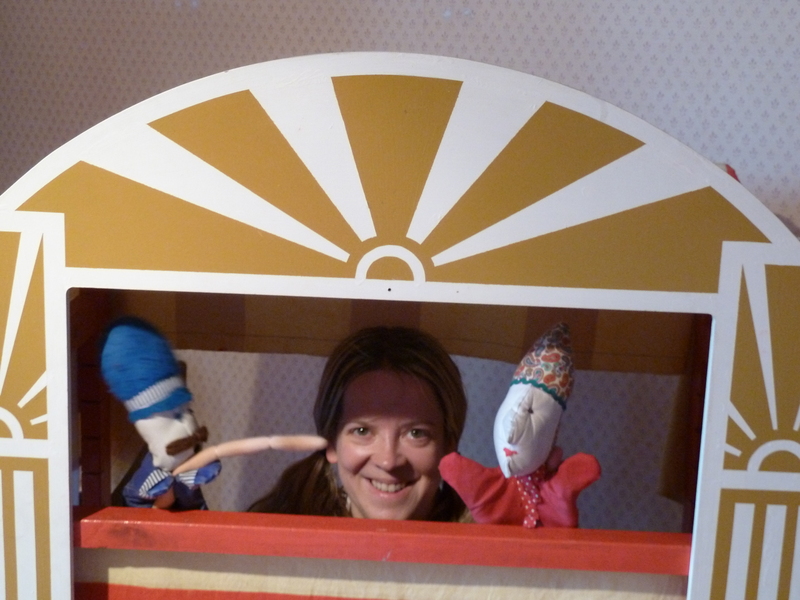 Each hut is decorated in a pretty nautical style and the space inside is very practical too. Most have electricity and facilities include the all important fridge, kettle & microwave. 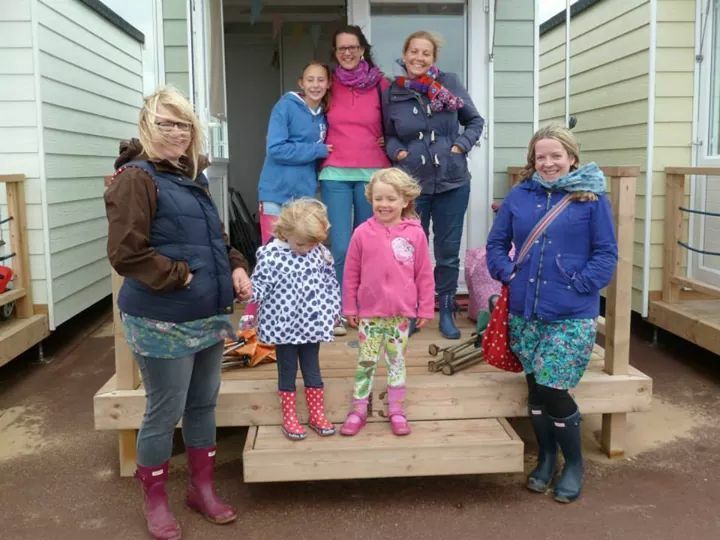 There is a bench inside which can be brought out onto the front decking area on a sunny day and all huts are equipped with crockery & cutlery. The kids loved their experience here too. They were able to make sandcastles on the beach, scooter along the prom, ride on the little steam train located behind the huts and play on the various rides and attractions nearby. 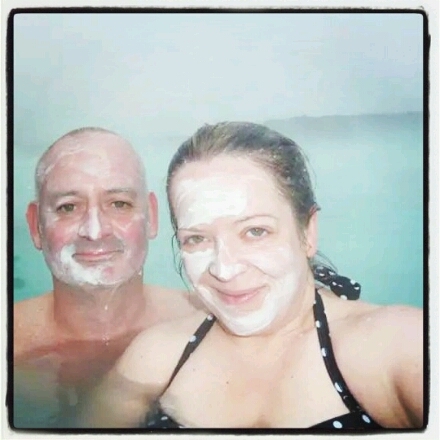 This is my August entry for #take12trips organized by Claire over at Need Another Holiday.